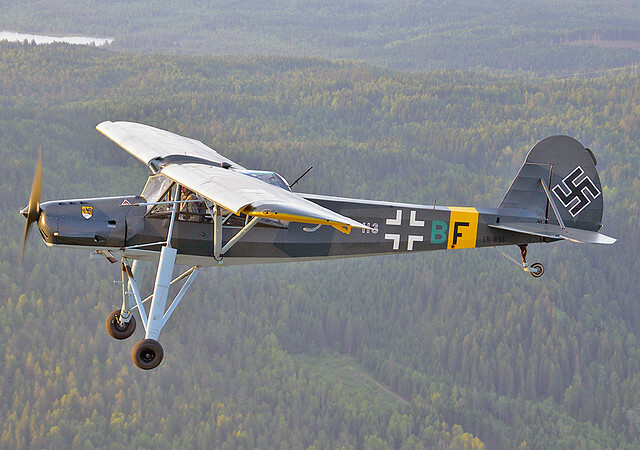 From the earliest days of my airliner interest, I was always fascinated by the F.27. 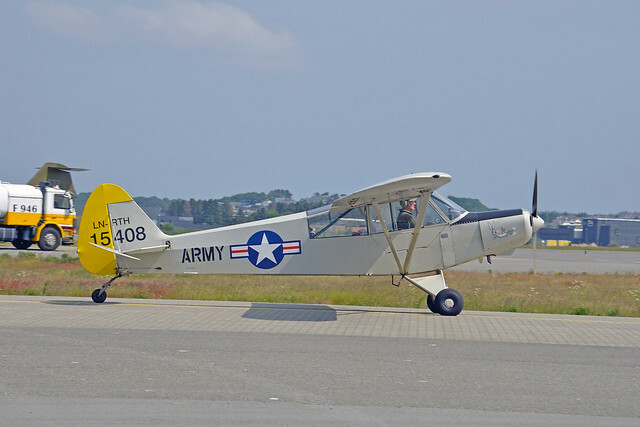 Maybe it was because I was living in the San Francisco area, where all three of the local service airlines (West Coast, Pacific, and Bonanza) flew F.27s, Maybe it was because of the fascination of being able to watch the landing gear go up and down. Maybe it was because it resembled (at least in my mind) the seagulls, which were plentiful in Palo Alto. It might have been those huge oval windows that looked more like fishbowls than airplane windows. 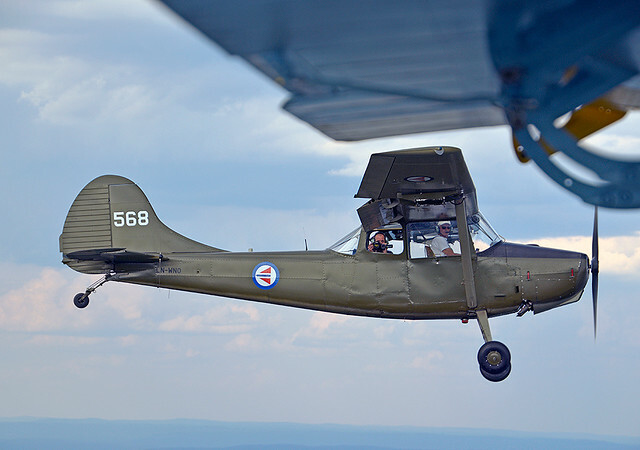 Whatever it was, it took me many years before I actually flew on my first plane in the F.27 family (Ozark FH.227, actually). 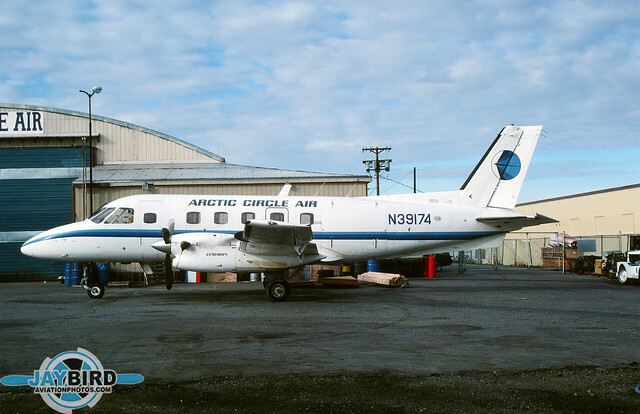 N374RD is another FH-227C, this one seen in the markings of Airlift International, began life with Northeast Airlines as N374NE. It was photographed at Opa-Locka. 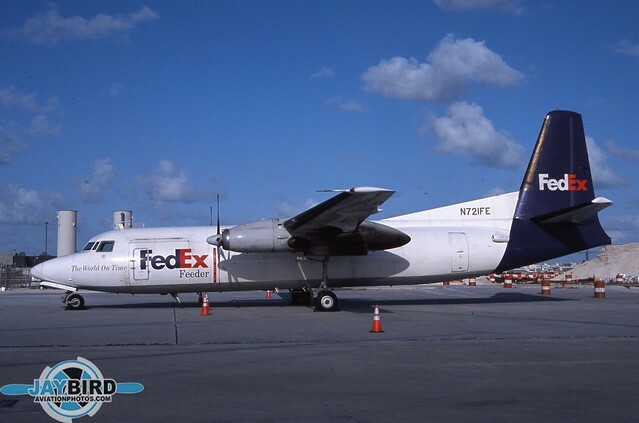 Mountain Air Cargo operated a fleet of F.27s that were owned by Fedex. N721FE was an F.27-500 that was originally delivered to Malaysia-Singapore Airlines. 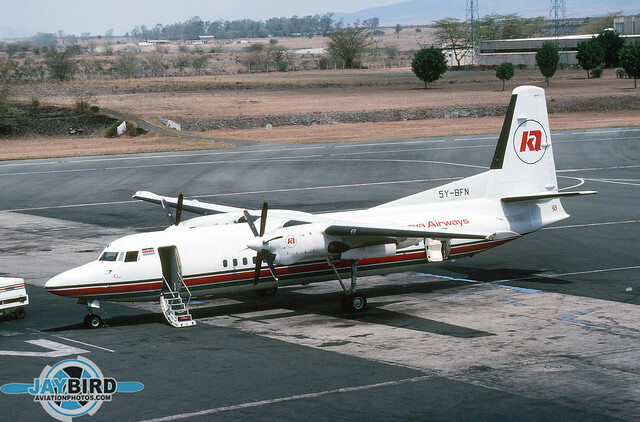 5Y-BFN was a Kenya Airways F.27-050, seen here at Nairobi International Airport. G-BHMY was a F.27-600 operating in the colors of Air UK, seen at Heathrow in 1992. 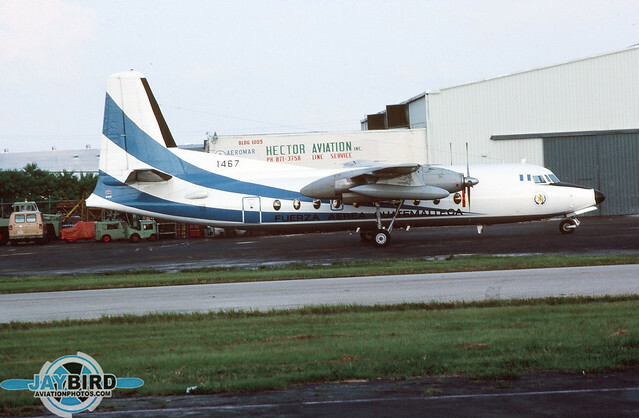 This Fuerza Aerea Guatemalleoa F.27-400 was seen at Tamiami. 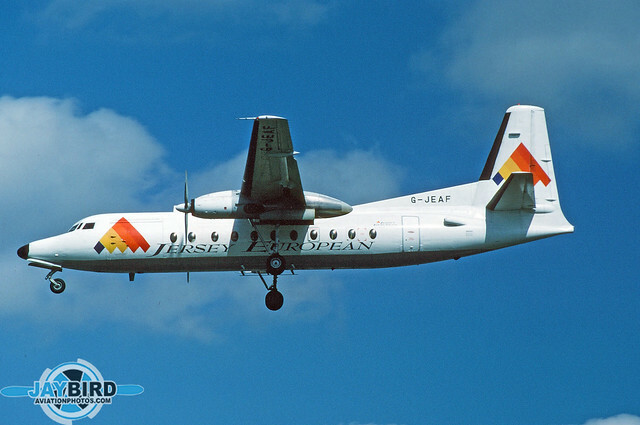 G-JEAF was a F.27-500(SCD) operated by Jersey European, seen landing at London Gatwick. 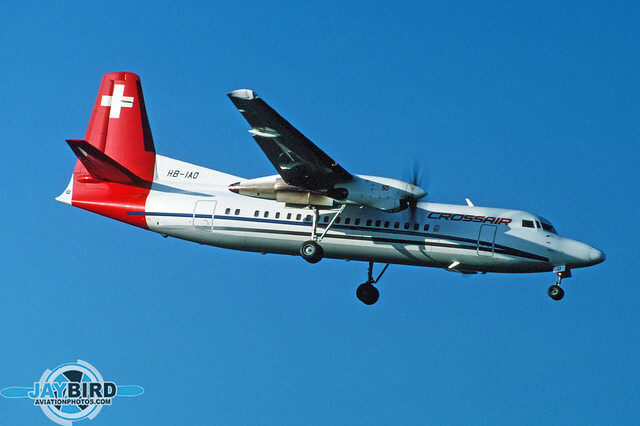 Crossair had a large number of F.27-050s based in ZZurich, including HB-IAO. 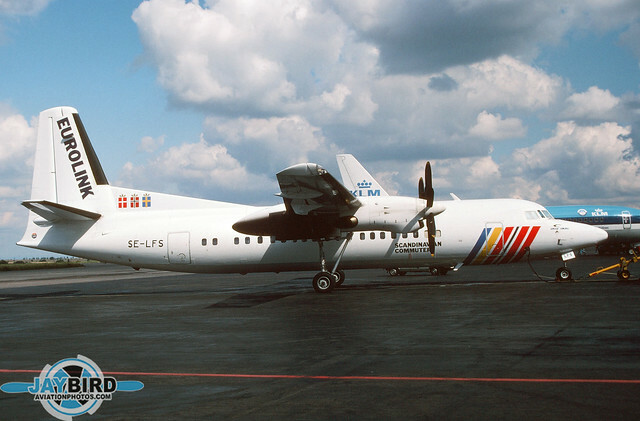 LX-LGC was one of seven F.27-050s used by Luxair. It is seen here landing on Runway 27R at London Heathrow. 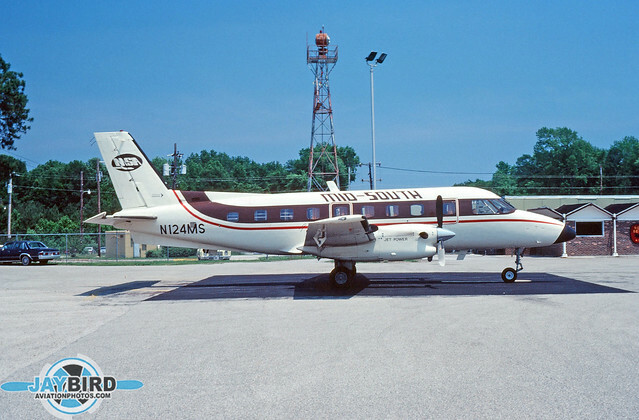 N142PM was one of the only F.27-100s operated in the US. 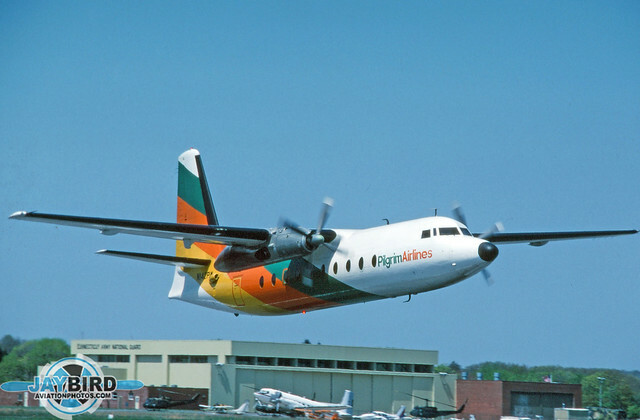 It is shown here in Pilgrim Airlines colors, lifting off from company headquarters at Groton CT. Here is another shot of N142PM, now seen at DCA in Business Express colors. Air Central operated JA8875, a F.27-050, seen at Nagoya. N334MV is a Mississippi Valley F.27-500, seen at company headquarters at Moline IL. 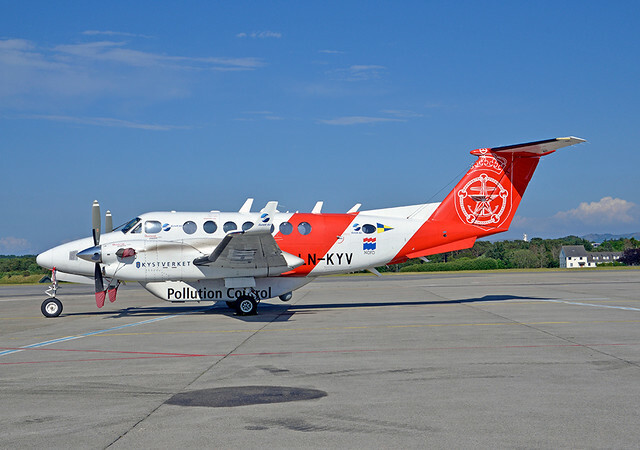 PH-FKF was a F.27-500 of NLM Cityhopper, seen landing at Amsterdam. 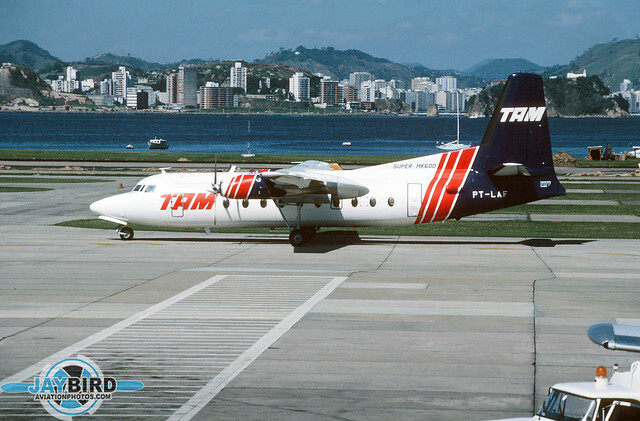 TAM Brazil, today the Brazilian flag carrier, had a modest beginning, which included this F.27-600 PT-LAF, seen at SDU. 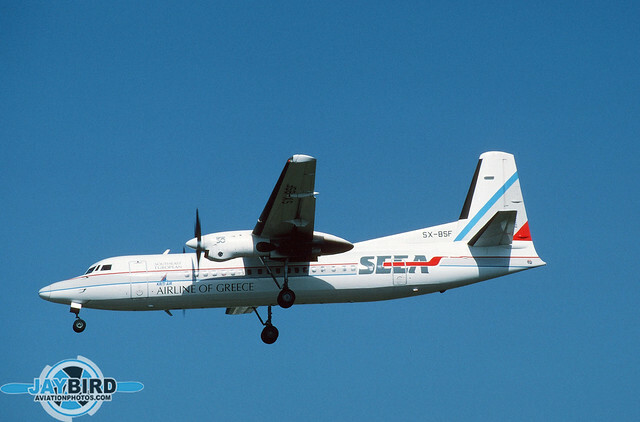 SX-BSF was a F.27-050 seen landing at Athens Hellikonen, flown by South East European Airways. 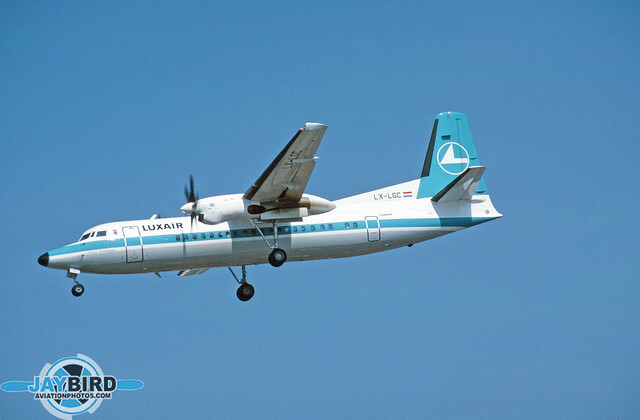 SAS Eurolink operated a large fleet of F.27-050s including SE-LFS, photographed at Prague. 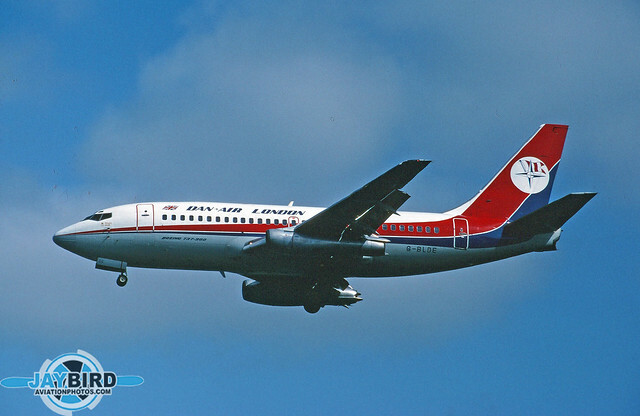 East-West Airlines was a major operator of F.27s, including VH-EWP, a F.27-500RF. It was photographed at Sydney. 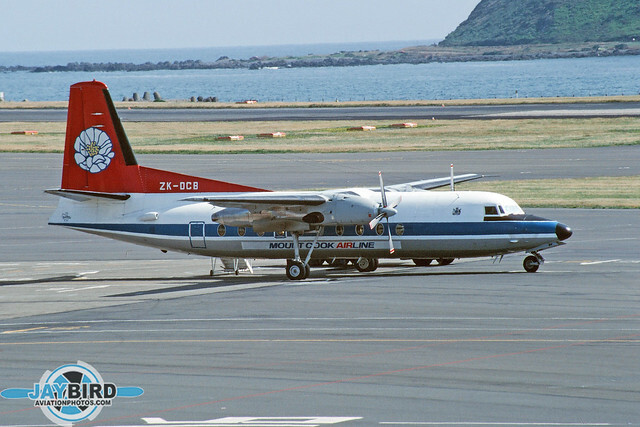 ZK-DCB was a F.27-200 originally delivered to the New Zealand CAA, but later leased to iconic Mt. Cook Airline. Photographed at Windy Wellington. Air New Zealand was another major operator of the F.27s, including ZK-BXH, an F-27-100, seen lifting off from Wellington. 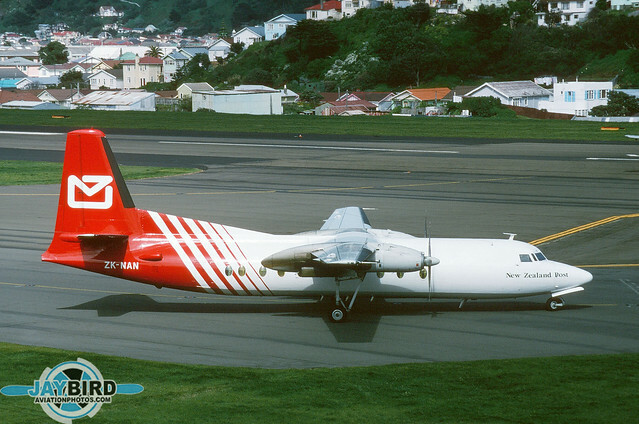 ZK-NAN was originally a NZNAC F.27-500(SCD) which was sold to Airwork New Zealand to be operated on behalf of the New Zealand Post. 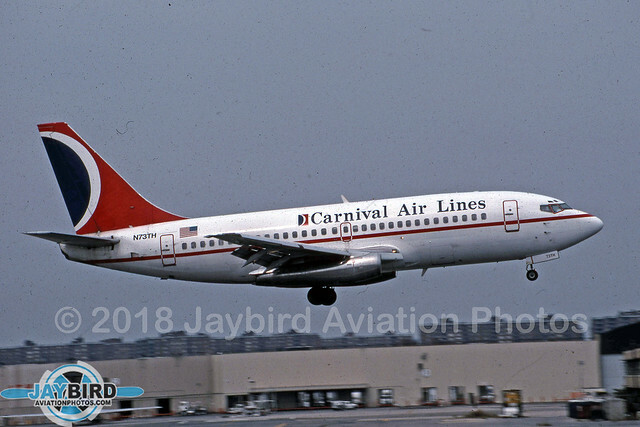 Arguably the most well-known airplane in the Air Florida fleet, N62AF, a 737-222 was the 737 that crashed into the 14th Street Bridge on 13 January 1982.I photographed this at DCA a few months prior. 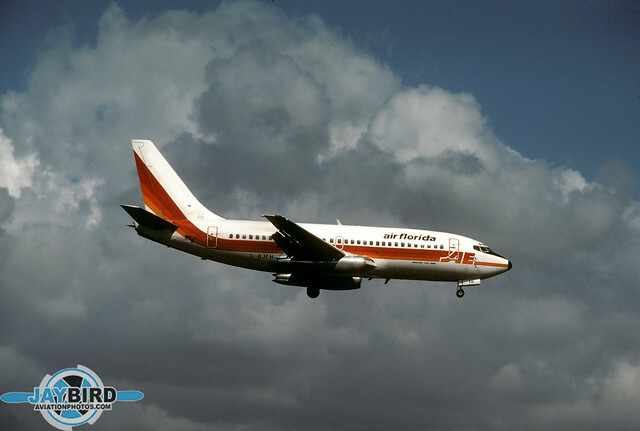 N752N was a 737-222 operated by Piedmont Airlines. 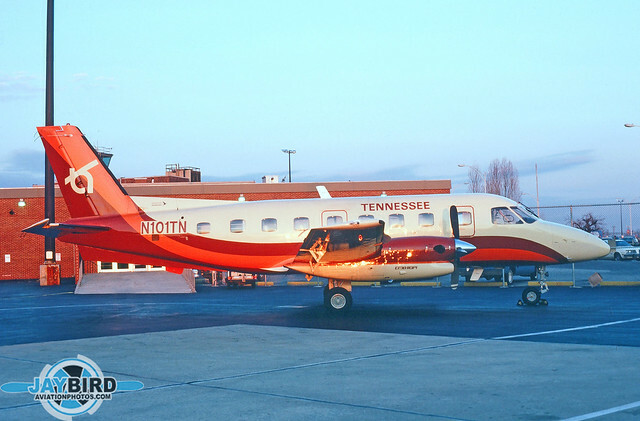 In a roundabout way, this was the exact plane that led to my employment with Piedmont. 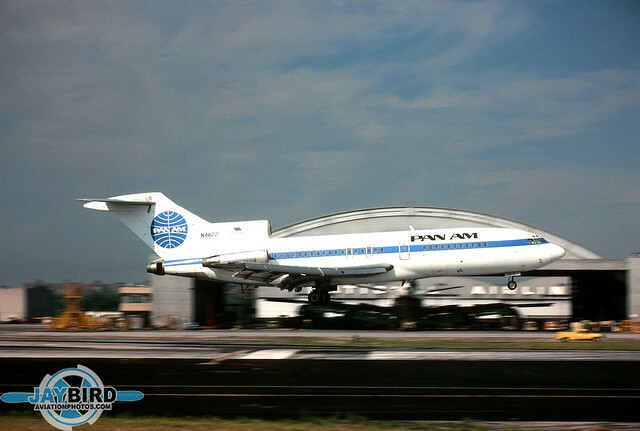 It wasn’t one of the big airlines like Pan Am, TWA, or Eastern, but hey, it was an airline job! Hindsight being what it is, I could not have been more fortunate. 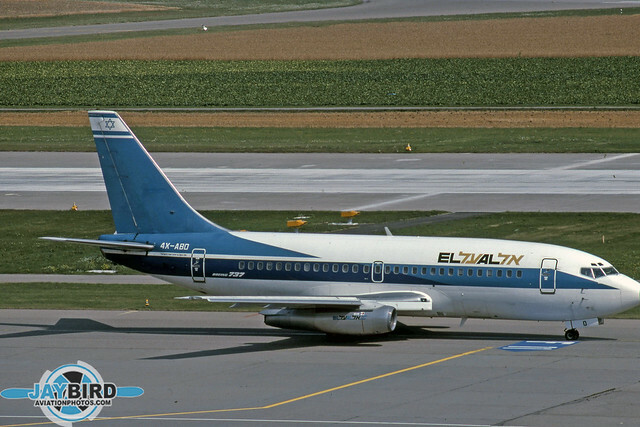 4X-ABO was an El Al 737-258, seen here at Zurich. 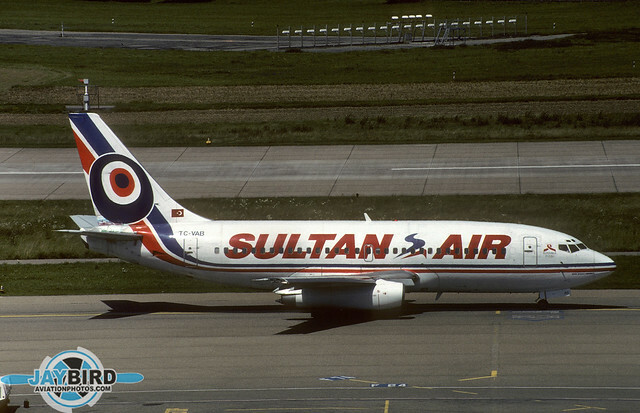 TC-VAB was an ex-Aer Lingus 737-248 operated by Turkey-based Sultan Air. Photographed at Zurich. 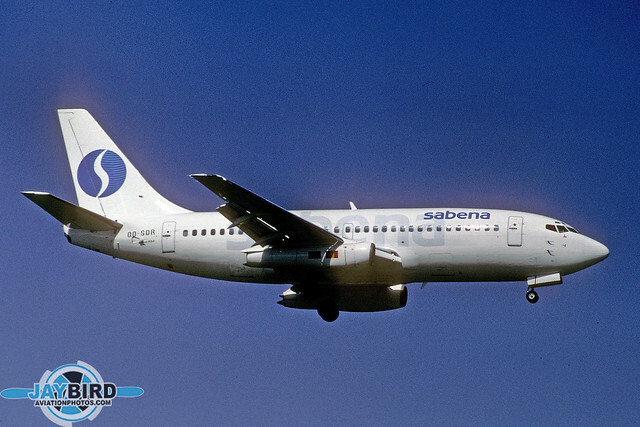 One of the less impressive color schemes, in my opinion, was this version of SABENA, as seen here on one of its 737-229Cs, also photographed at Zurich. 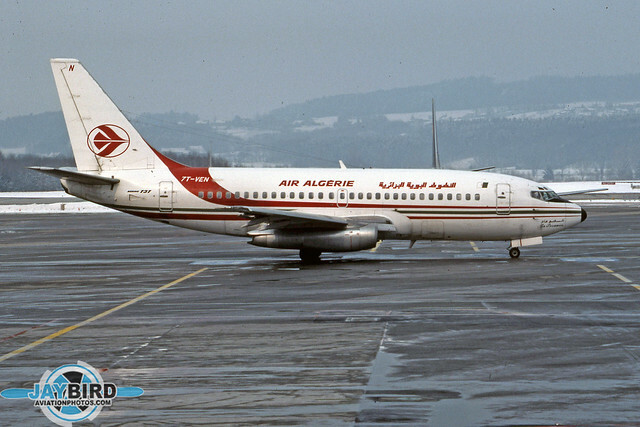 Air Algerie has operated several models of the 737, including this 737-2D6, which I photographed on my first rainy visit to Zurich. 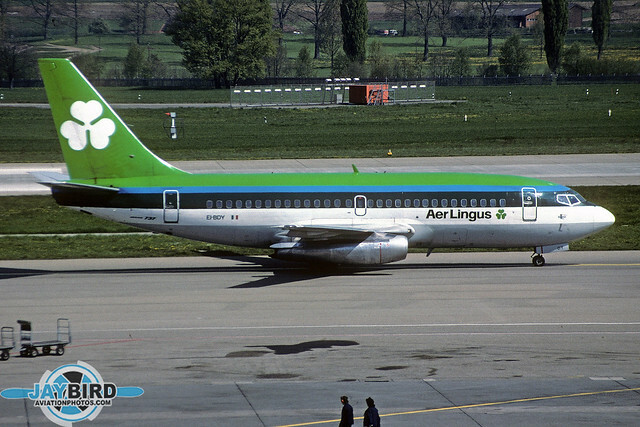 EI-BDY, an Aer Lingus 737-2E1, began its colorful career with Eastern Provincial Airlines. It seems that Zurich was a good place to photograph 737s in Western Europe. 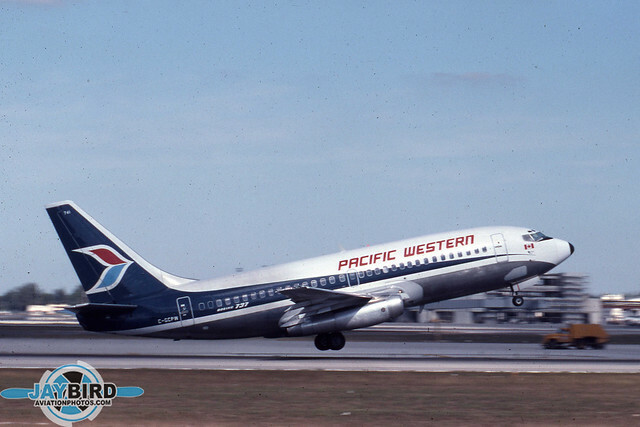 C-GCPW was a Pacific Western 737-275 photographed at Miami. Later, this 737 would be leased by American startup carrier America West to begin operations. 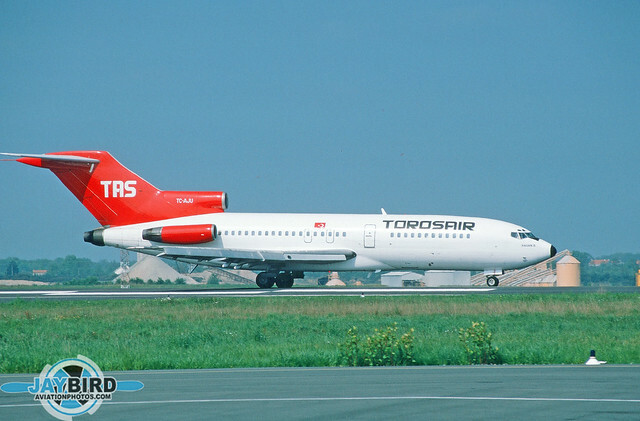 Pamir was a short-lived Afghan air carrier that operated YA-PIR, an ex-Delta 737-232. It was photographed at Dubai. 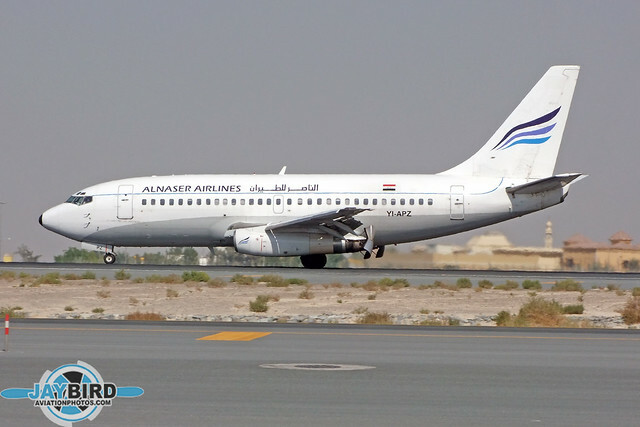 YI-APZ was a 737-201 of Iraqi-based Alnaser Airlines. 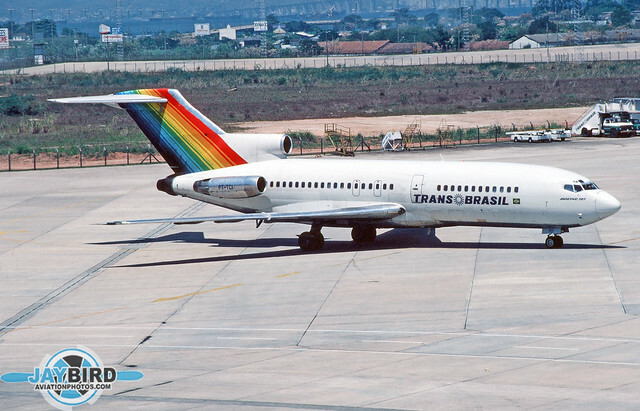 This former Piedmont plane was also seen at Dubai. 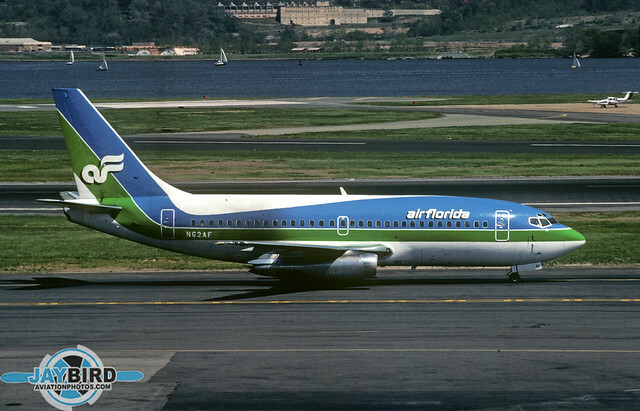 When Air Florida decided to take advantage of the newly-deregulated airline environment, it struggled to quickly grow its fleet, as did just about every other airline in the US. 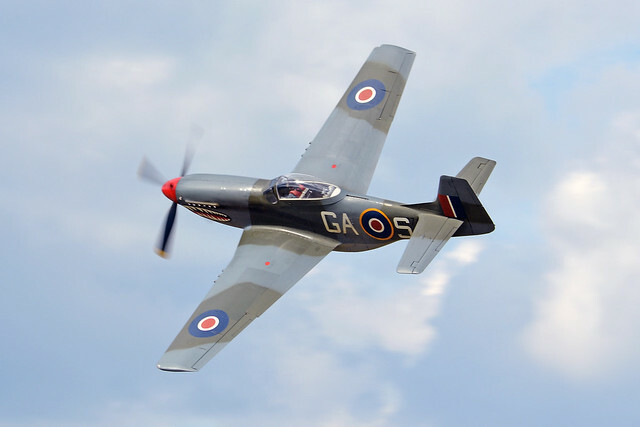 One answer was to lease aircraft from wherever aircraft were available. G-BJFH was a 737-2S3 on lease from Air Europe, seen here at DCA. 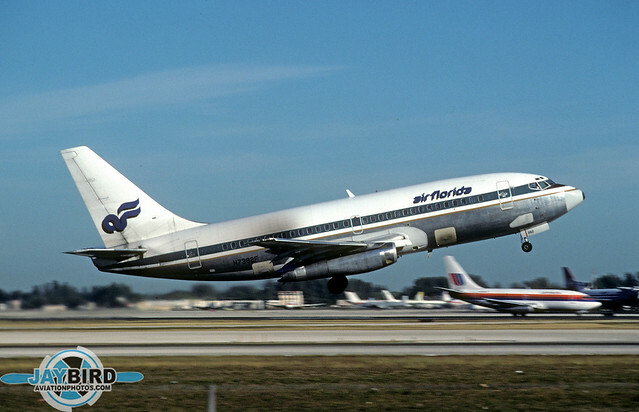 Another example of Air Florida’s rapid expansion was the acquisition of 6 737-100s, including N46AF, a 737-112 which obviously came from Singapore Airlines, previously Malaysian-Singapore Airlines. It was photographed at Miami. 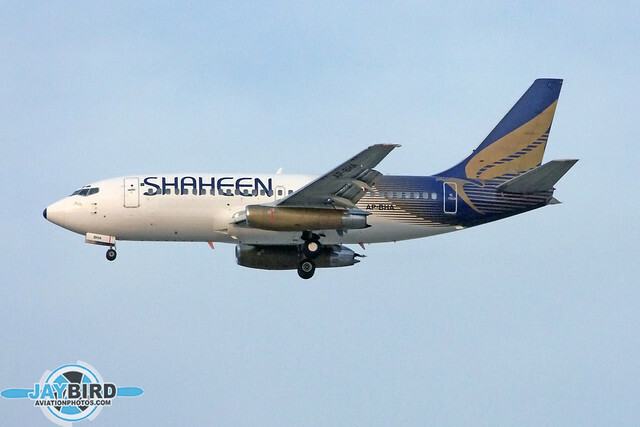 AP-BHA was a 737-277 of Shaheen Air, seen at Dubai. 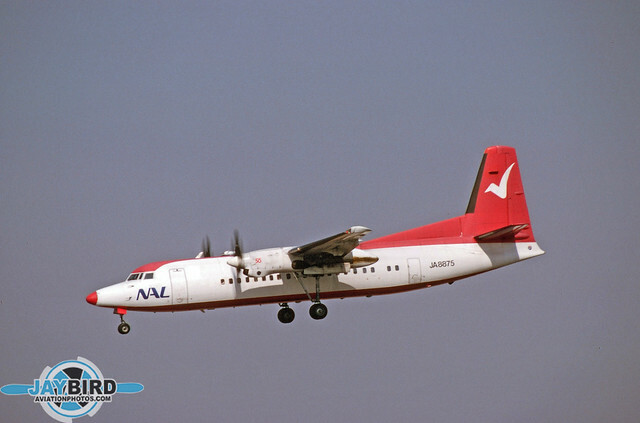 It was originally delivered to Ansett Australia. 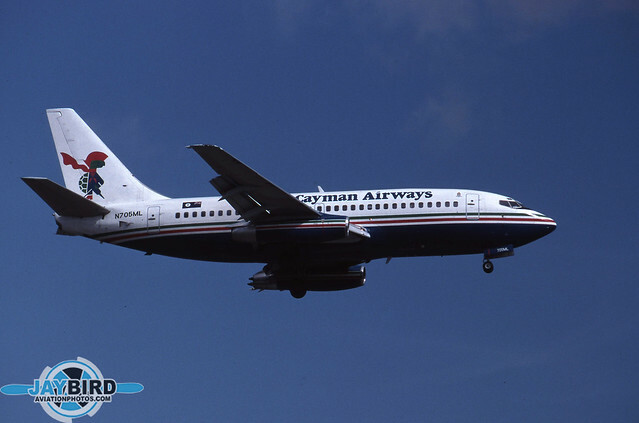 N705ML was a 737-2T4 on lease to Cayman Airways, seen at Miami. 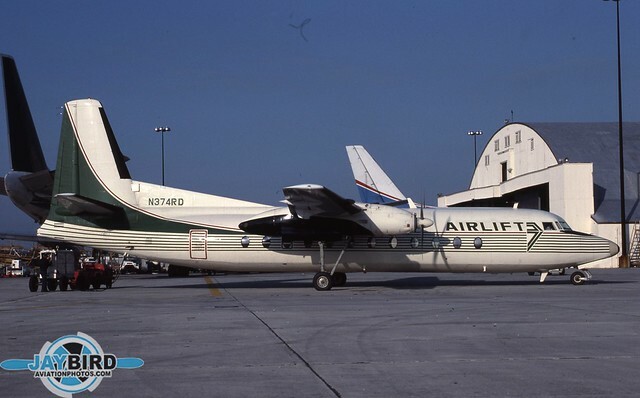 This aircraft was originally delivered to Air Florida and ultimately served with a dozen different operators. 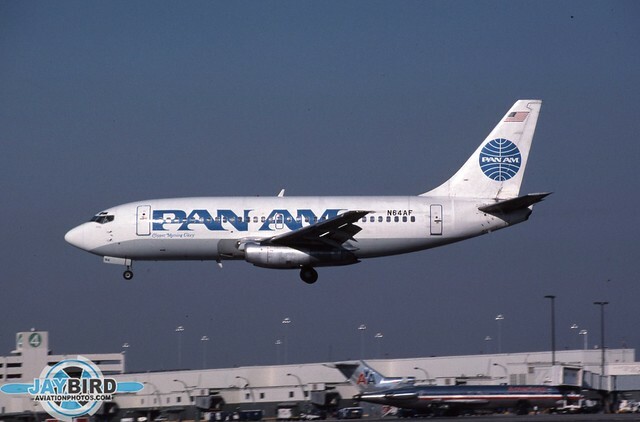 Originally delivered to United Airlines, this 737-222, N68AF of Pan Am obviously came from Air Florida. It was photographed at Miami. 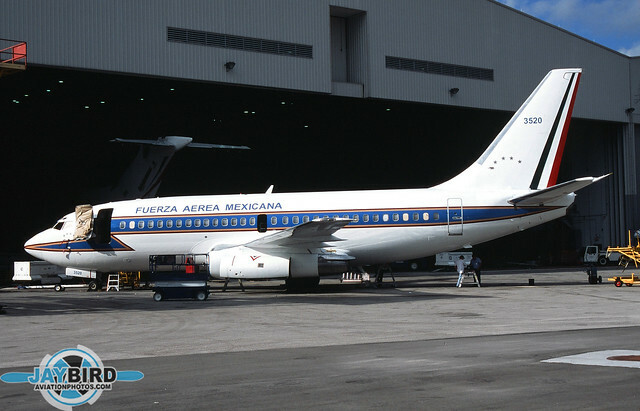 Another former United 737-222, N64AF also came to Pan Am via Air Florida. 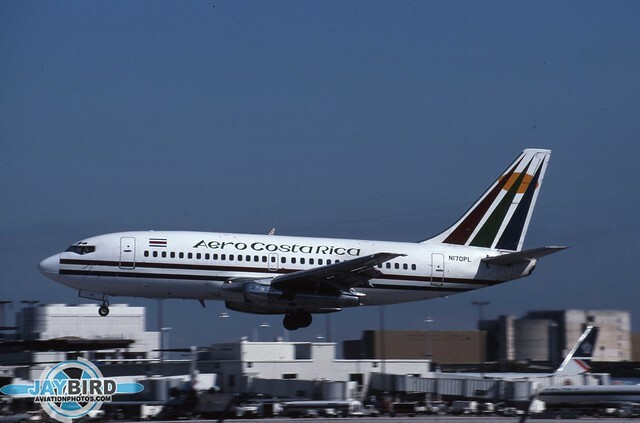 N170PL was a 737-2L9 on lease to Aero Costa Rica, seen landing on Runway 30 at Miami. 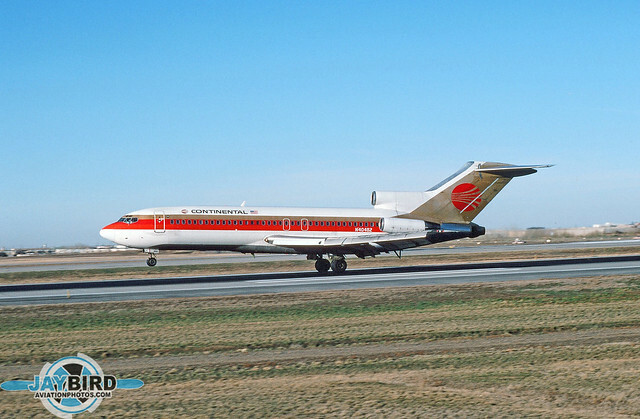 In the race to develop a short-range, medium-size jet airliner, Boeing was definitely second out of the starting gate, a full two years behind the Douglas DC-9. 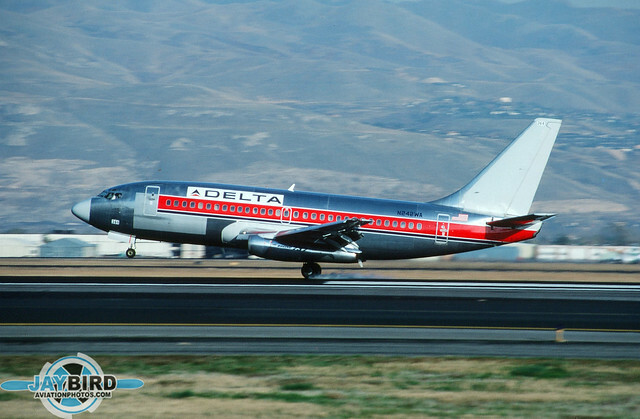 Initial sales of the 737 lagged behind the DC-9 and an initial snapshot of the two competitors would have suggested that Douglas was going to be the clear winner in that race. 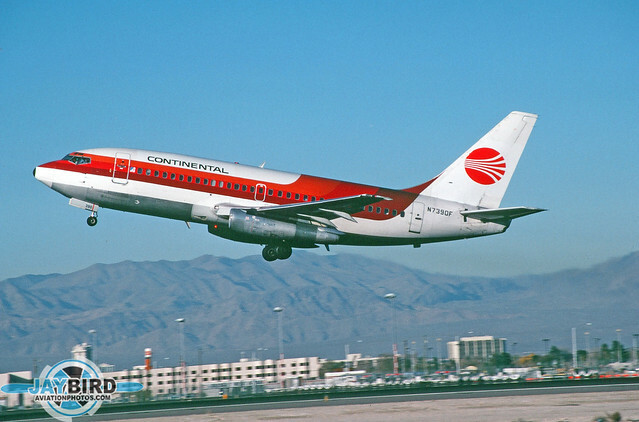 It’s been nearly 52 years since the first 737 took flight and it’s probably safe to say that nobody back then could have predicted that the 737 would morph from its initial role as a short-haul airliner into an airplane that would be used routinely from the West Coast of the US to Hawaii, or from the East Coast to Europe, or that it would smash all production records for a jet airliner and would remain in production for well over 50 years with no sign of slowing down. 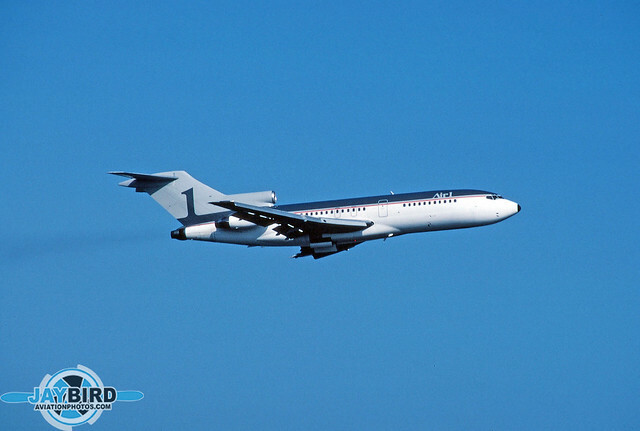 According to Wikipedia, the DC-9/MD-80 remained in production for some 27 years, with a total of approximately 2100 airframes of all types built. Today, nearly 11,000 737s have rolled off Boeing’s production lines, with nearly 4,700 additional orders. 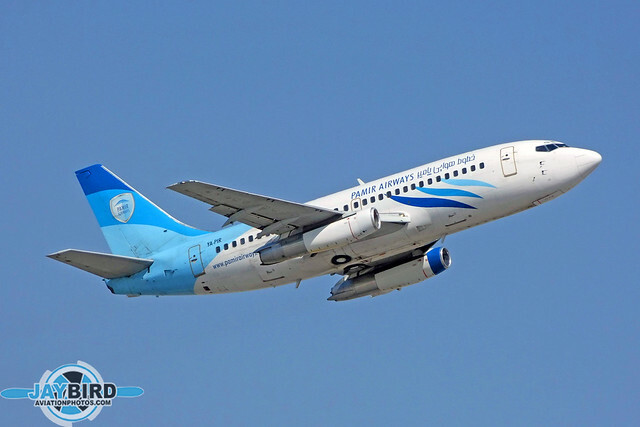 The nearest competitor to the 737 is built by a company that was not even existence when the first 737 was delivered – the Airbus A320 family. 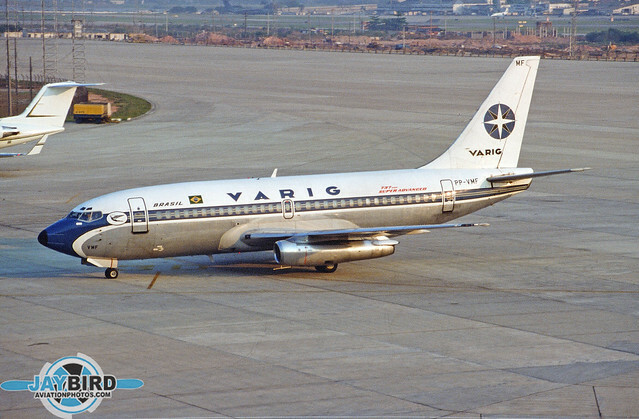 As I scanned a selection of slides recently, I found myself gravitating toward the “737 Classics”, which includes the -100 through -500. I have a soft spot in my heart for the 737-200. When I was hired by Piedmont Airlines in 1981, we were still taking delivery of brand new 737-200s. 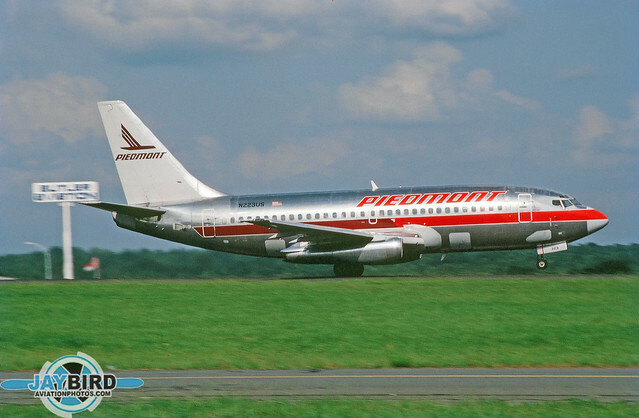 Later, Piedmont was an early customer of the 737-300, an upgraded model equipped with ultra high-bypass CFM-56 engines, Later, Piedmont was the launch customer for the longer 737-400. 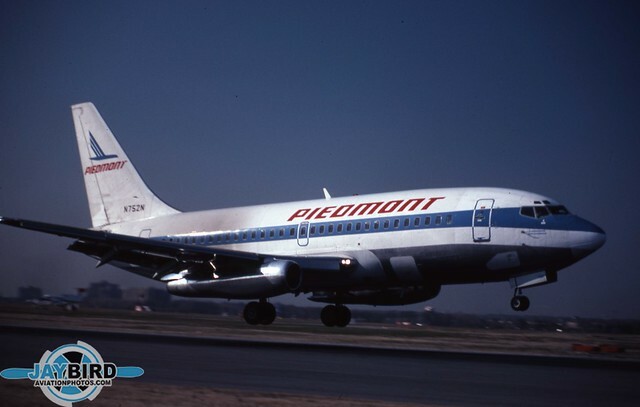 In fact, at one point, Piedmont operated the world’s largest fleet of 737s. 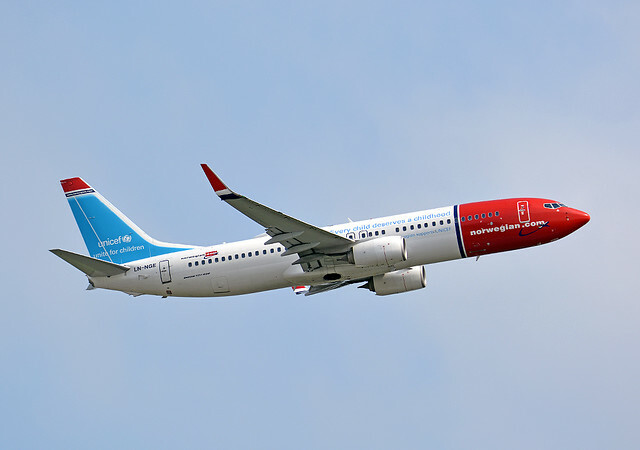 So without further delay, here is a collection of photos of Boeing 737-200s from around the world. 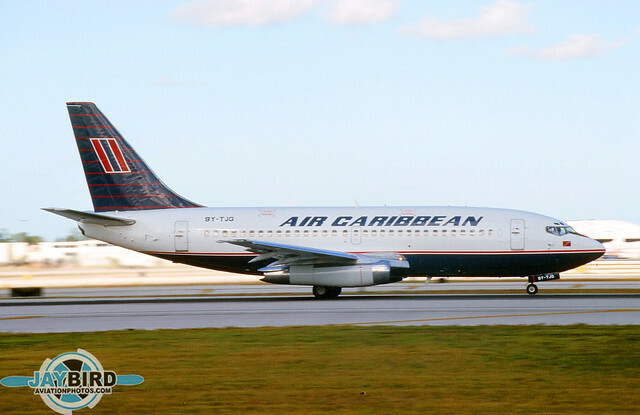 9Y-TJG is a 737-2Q8 of Air Caribbean, seen in Miami in January 2000. 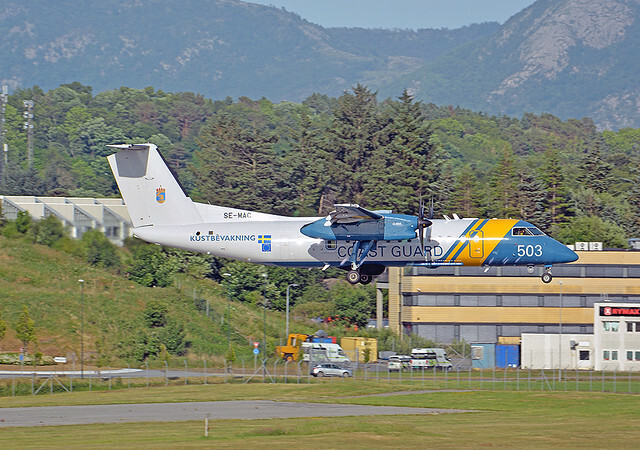 This airframe was delivered to GECAS Leasing and has been registered in no fewer than eight countries! 3520 is a former USAir 737-2B7. 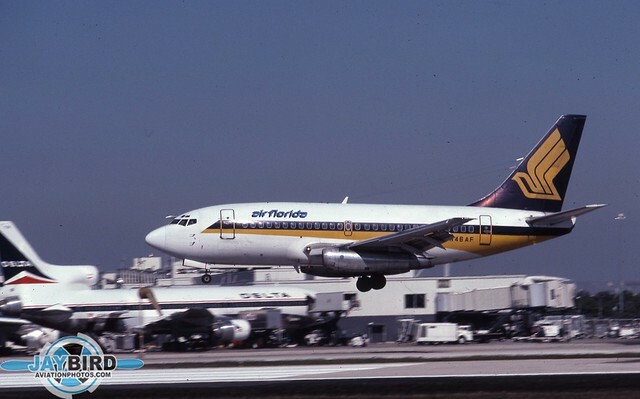 One of the benefits of working at Miami Airport from 1999 until 2006 was my ability to record airplanes arriving at MIA in one color scheme, and departing in quite another. 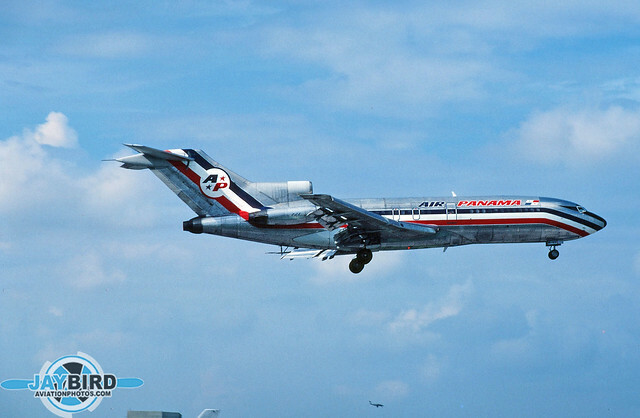 Such was the case when N286AU arrived at Miami on its final flight in US Airways Metrojet colors. 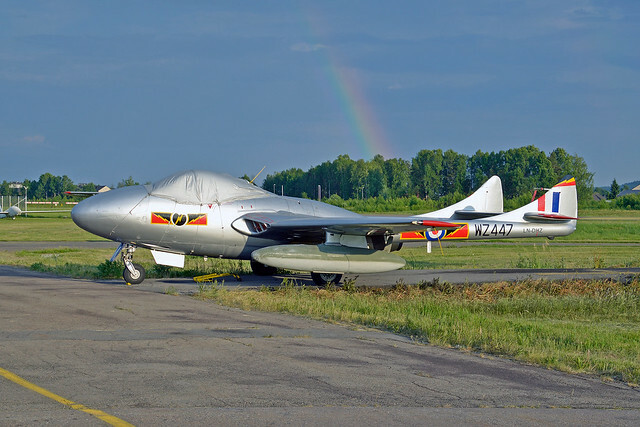 Within a couple of weeks, it was sitting outside the hangars of Commercial Jet, wearing the colors of Fuerza Aerea Mexicana. 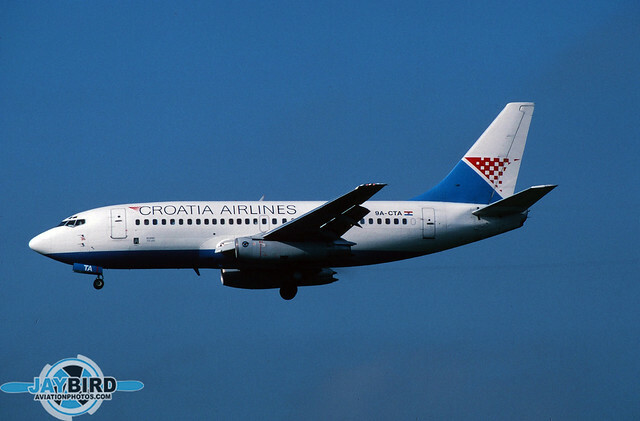 It’s hard to imagine that C-GCPW represents the humble beginning of the company that has arguably grown into the world’s largest airline. 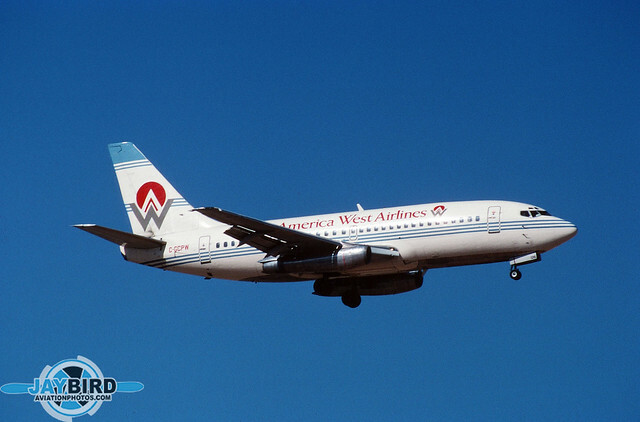 This 737-275 is one of four aircraft that America West Airlines leased from Pacific Western Airlines to start up service. World’s largest airline? Don’t forget that in 2005, America West bought US Airways, which was in bankruptcy at the time. Doug Parker, CEO of America West, decided that the name US Airways, carried a better brand recognition than did America West. 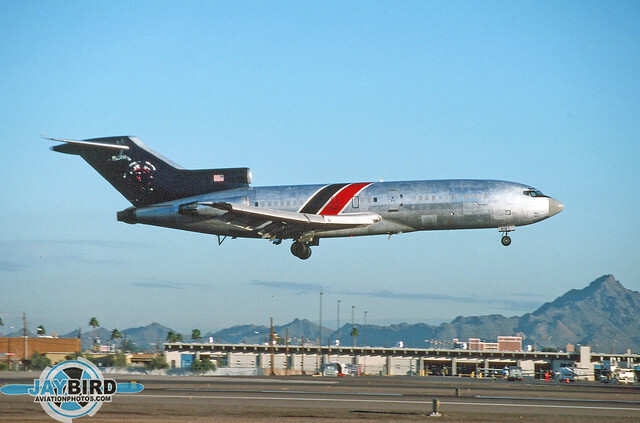 So, the resulting airline was christened US Airways, although it was really America West in disguise. Fast forward some ten years and Parker engineered the purchase of American Airlines while it was in bankruptcy. Same page out of the same playbook and although US Airways bought American, and the surviving airline was named American, while retaining much of the America West management. 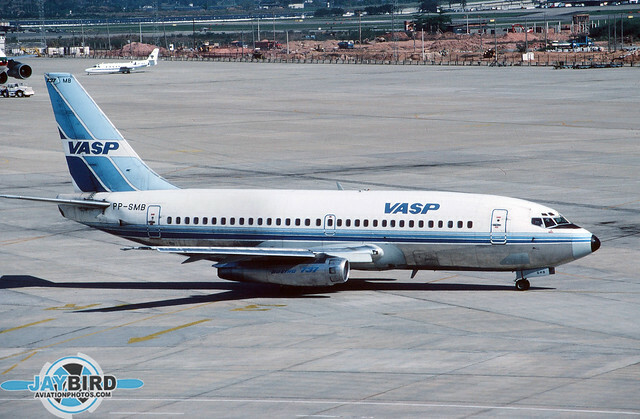 C-GSPW is a 737-275C, another Pacific Western aircraft. 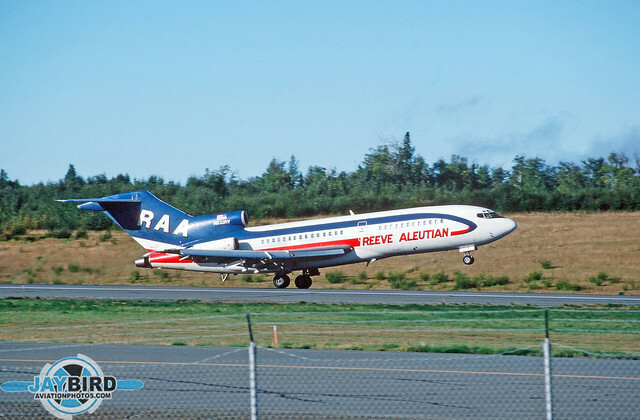 It is seen here on short final to Vancouver in October 1988, soon after several airlines merged to create Canadian Airlines. 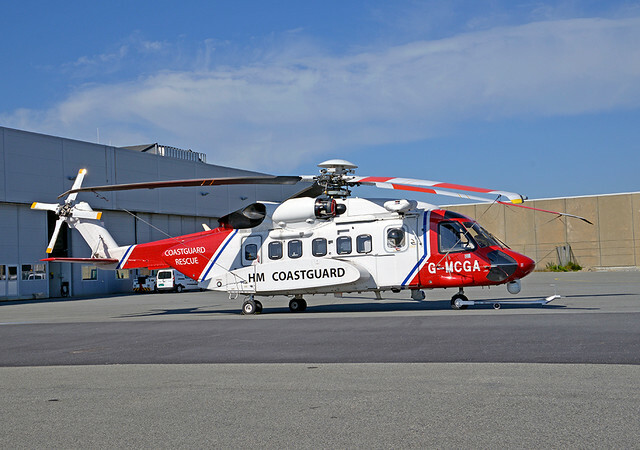 C-GSPW remains active today, in service with Air Inuit. 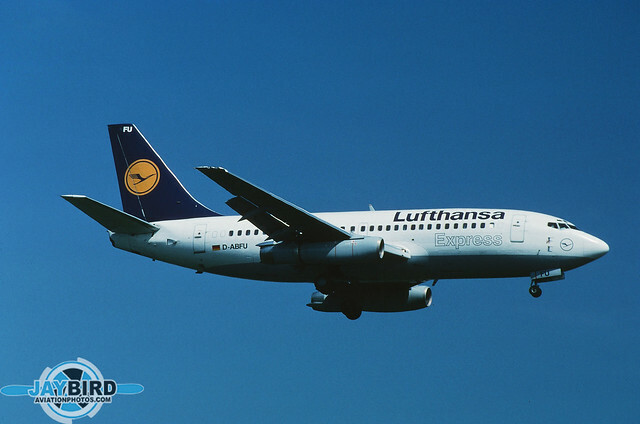 Lufthansa was the first European operator of the 737 and was one of only a handful of airlines that operated all five versions of the 737 Classic. D-ABFU was one of a handful of Lufthansa 737-200s to be fitted with Nordam Hush Kits. This 737-230 was transferred to the Lufthansa Express division for a couple of years before being sold to Ryanair. This photo was taken at Zurich. 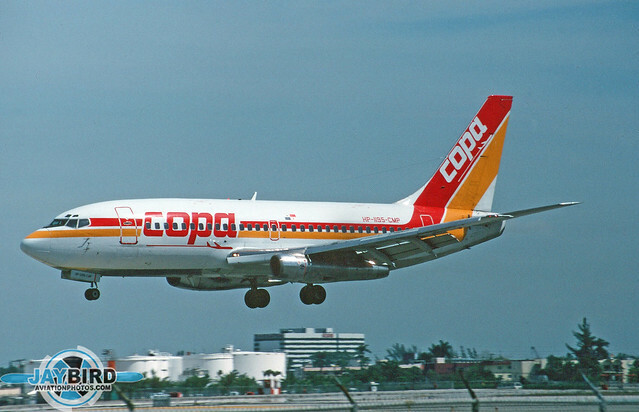 HP-1195-CMP of COPA Panama, is seen just prior to landing on Runway 30 at Miami in February 1993. 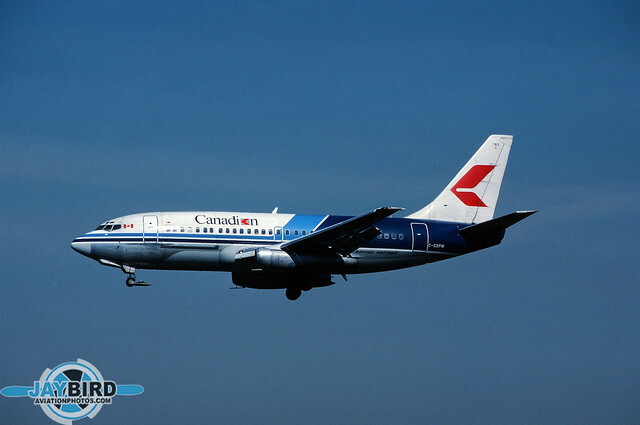 This 737-204 was originally delivered to Britannia. N233US was one of two Piedmont 737-201s to be repainted in the red transition colors just ahead of the merger with US Airways. It is seen here lifting off from Runway 18L at Charlotte in September 1989. 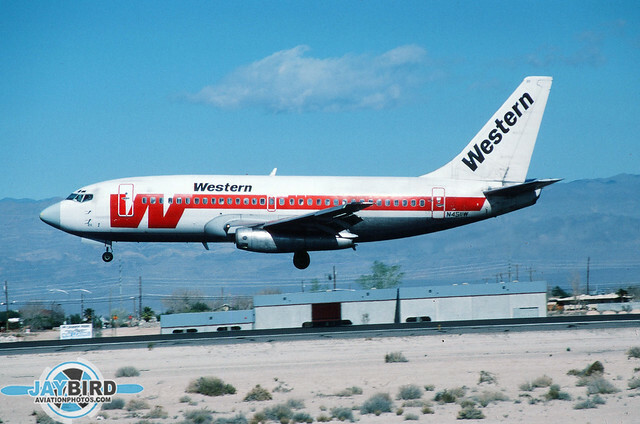 Western Airlines had a respectable fleet of 737s. N4511W, a 737-247, is shown flaring for landing at LAS. N4502W is another Western Airlines 737-247 landing at Las Vegas. 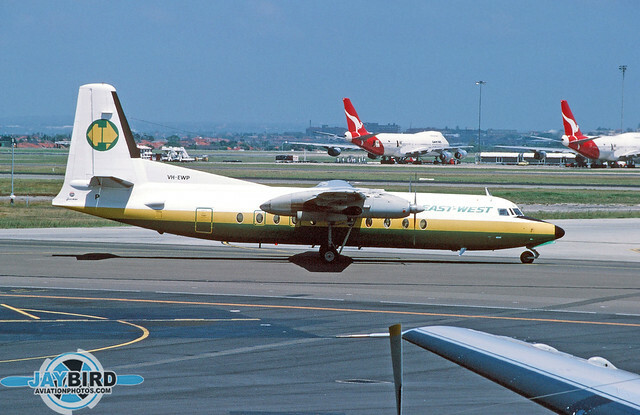 This plane is wearing Western’s final color scheme, in the day when many airlines stripped off the base coat of paint in the name of saving weight. Personally, I’m glad THAT song left the top ten! 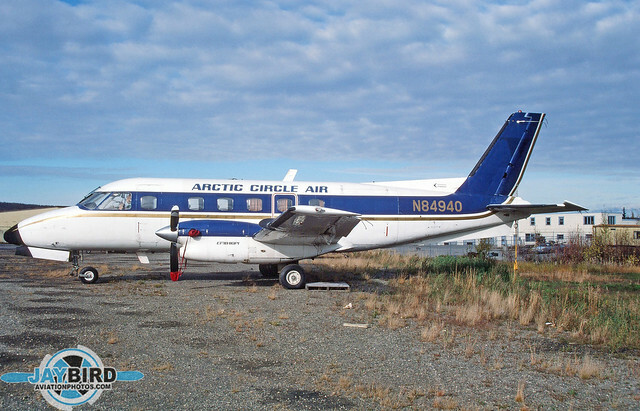 N4569N was a 737-2T4 originally ordered by Air Florida, but it was actually delivered to Alaska-based Markair. 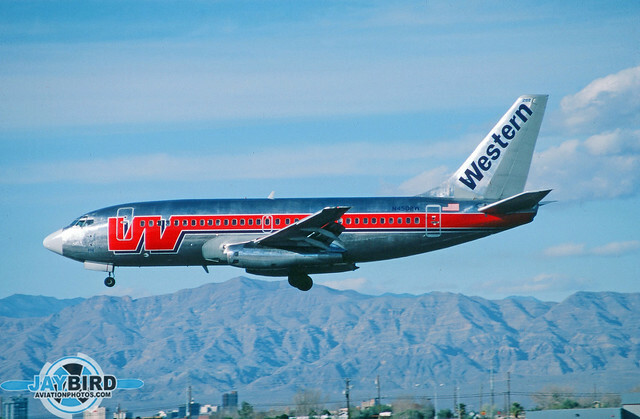 It was later bought by Western Airlines. 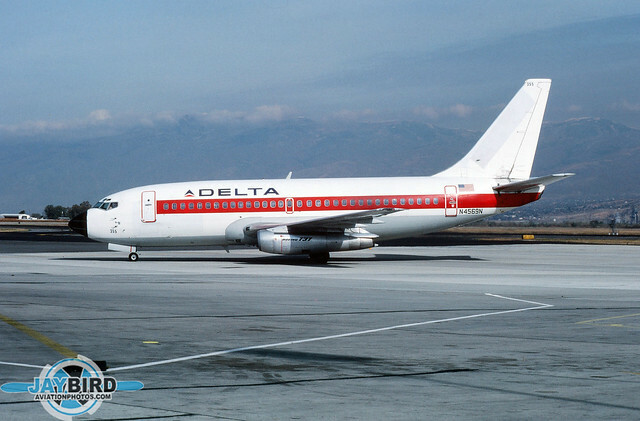 After Western was bought by Delta Airlines, most of the planes remained in basic Western colors. 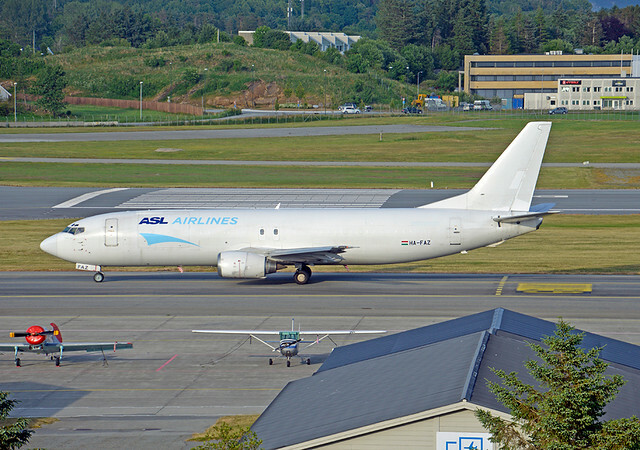 N242WA was another 737-247 originally delivered to Western. It was later transferred to Delta. 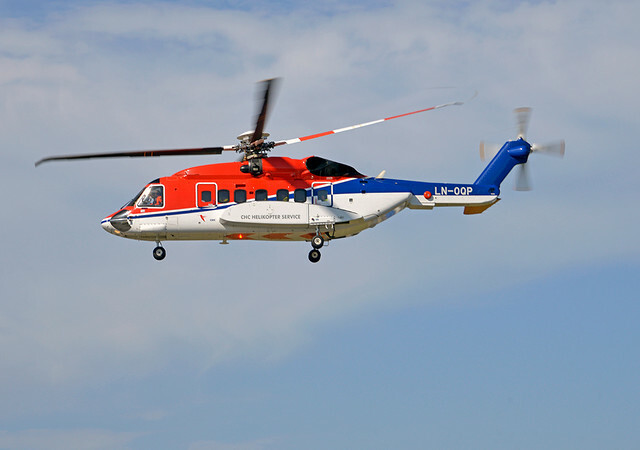 It is seen landing at Las Vegas. 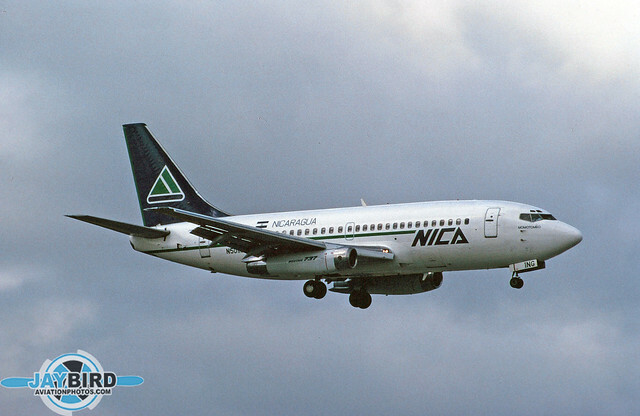 N237WA is one more 737-247 that was delivered to Western, then transferred to Delta as a result of the merger. 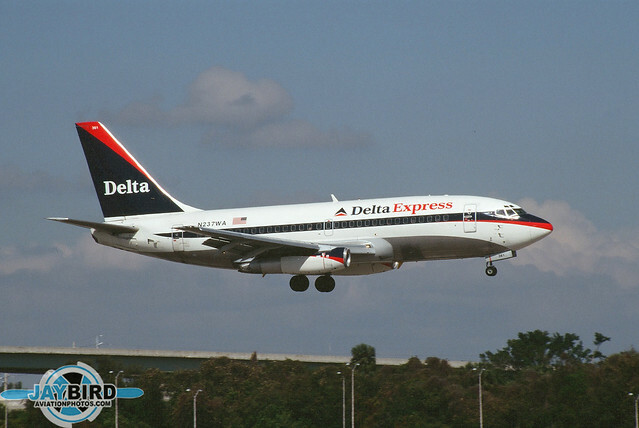 Its final role for Delta was operating as Delta Express. This photo was taken at Ft. Lauderdale in February 2000. 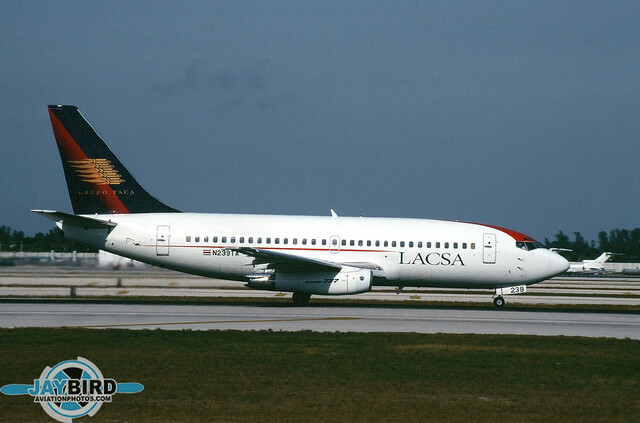 LACSA operated a small fleet of 737s, including N239TA, a 737-25A seen at Miami in February 2000. 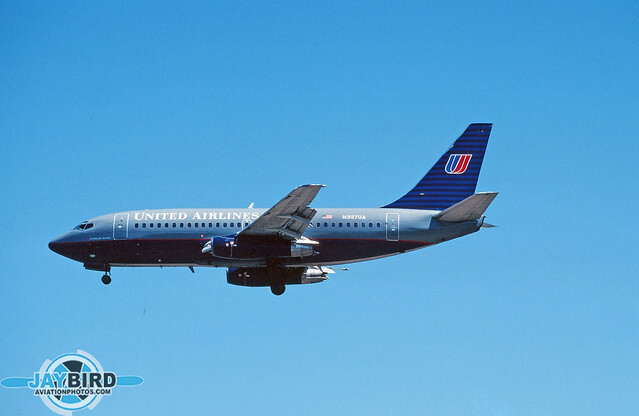 When Frontier began having financial difficulties, the company was forced to sell off a number of its aircraft, including 737-291 N7354F, to United Airlines, which reregistered it as N997UA. This was photographed at Denver Stapleton in June 94. 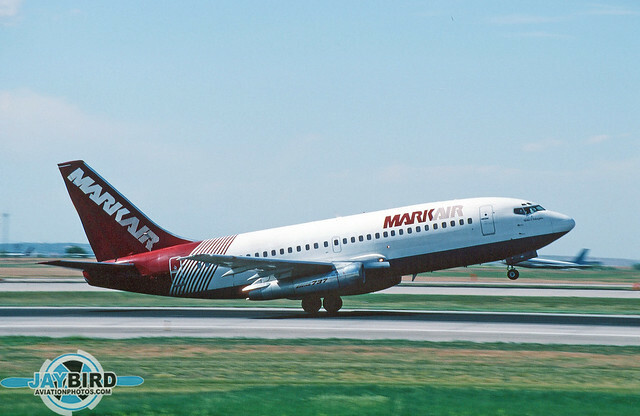 In its final months, Markair attempted to break out of its traditional service area in Alaska, and established a mini-hub at Denver Stapleton. N685MA is a 737-25A which was originally delivered to Midway. 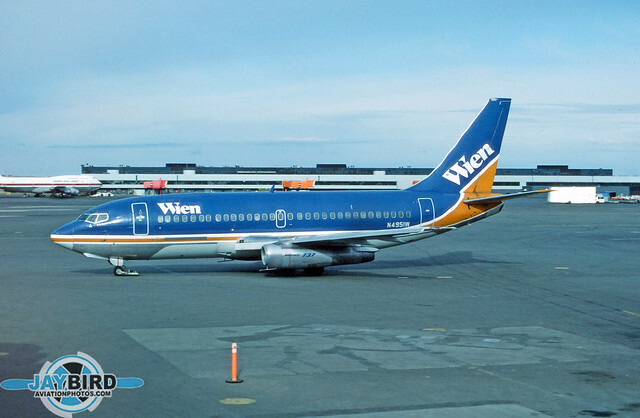 N4951W is a Wien 737-210C, which I photographed on my first trip to Anchorage in October 1995. 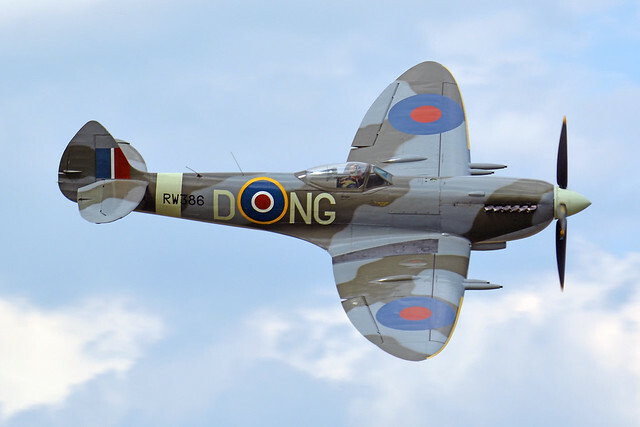 The following year, the airline had gone out of business. 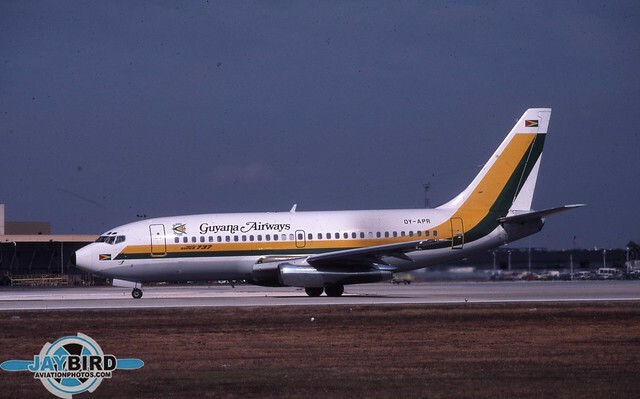 After failing Frontier Airlines was purchased by Continental, it was a common sight to see planes like N7390F, a 737-222, flying in Frontier colors with Continental titles. This was taken at Las Vegas. 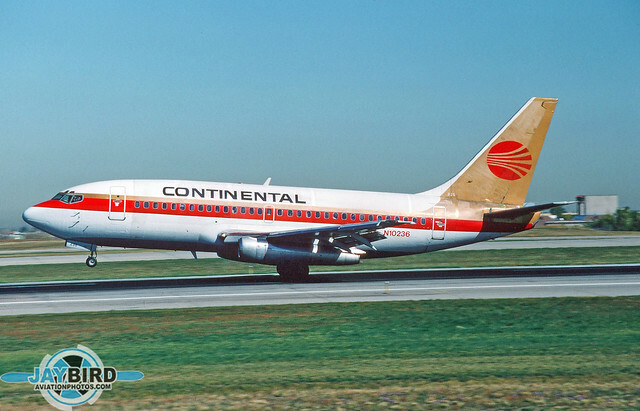 Here is another 737-222 that came to Continental by way of United and Frontier. 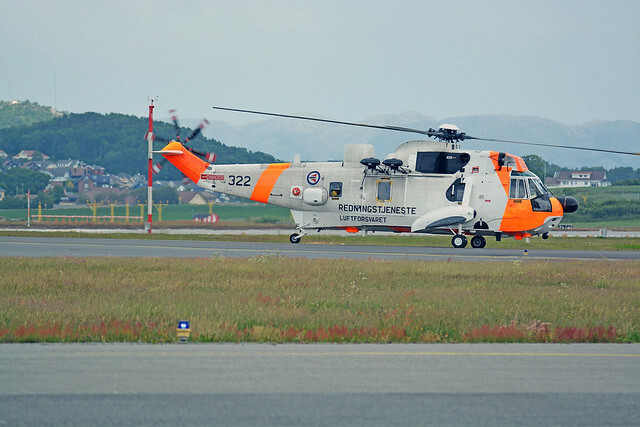 N10236 is seen touching down at Stapleton in full Continental colors. On by one, the greatest airports in the world for photography were replaced by newer, more modern, and more sterile and photo-unfriendly airports. One of the best was Hellinikon Athens Airport, along with the wwll-known Hotel Emmentina. What wonderful memories. 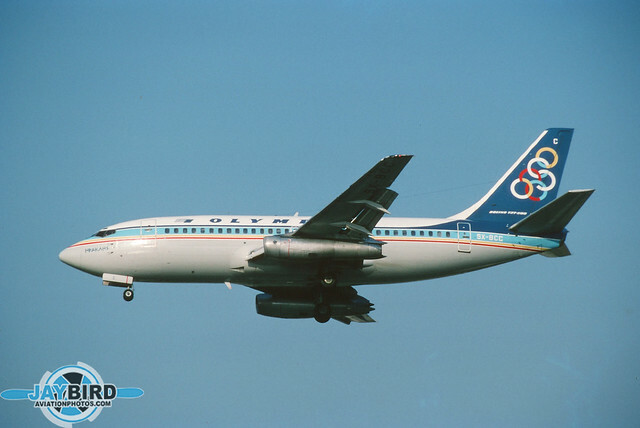 Here is an Olympic 737-284. Sadly, both the airport and the airline are now gone. 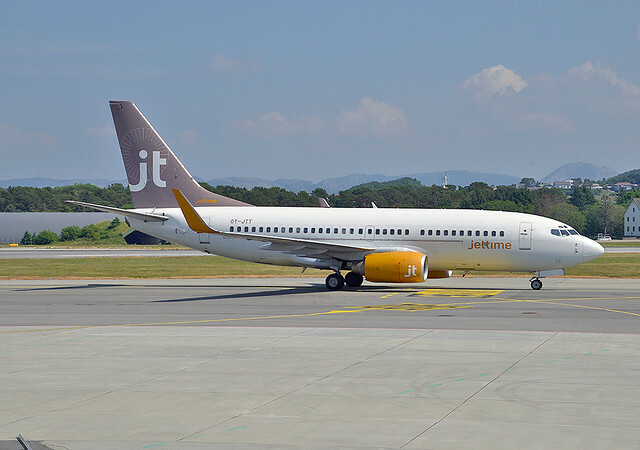 TF-ELM, 737-2M8 flew under many different identities during its lifetime. Its last identity, however, made it somewhat unique. 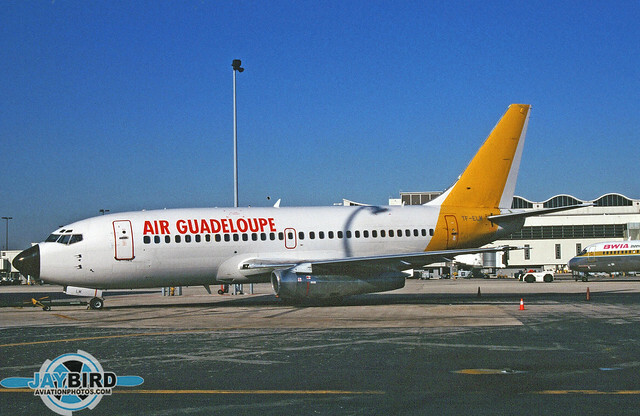 Owned by Air Caraibes, it flew with Air Martinique titles on the starboard side, and Air Guadeloupe titles on the port side, as seed at Miami Airport. 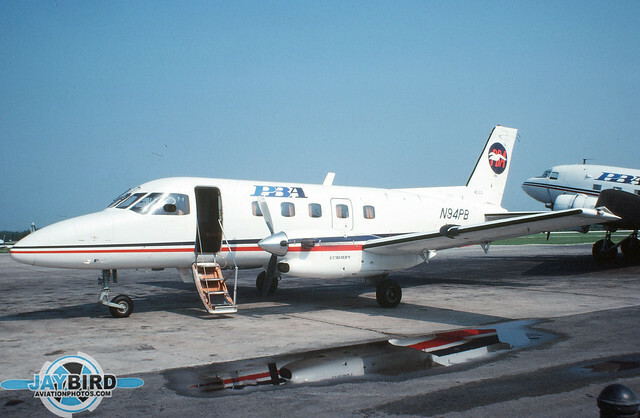 The Embraer EMB-110 Bandeirante is a commuter aircraft that is near and dear to my heart. 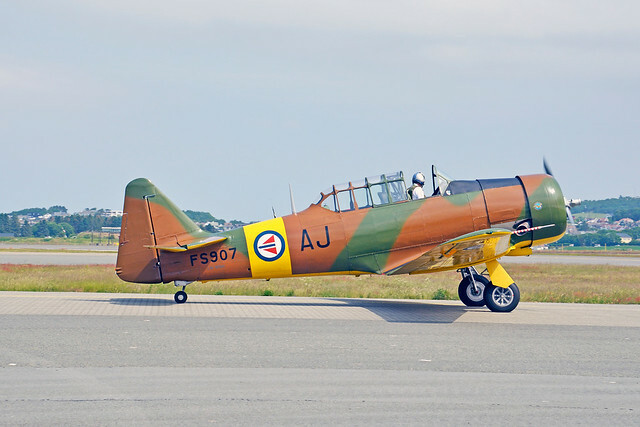 When I first found myself focusing on the commuter airline industry back in the very early 1980s, the Bandeirante was the first new aircraft to be designed for the industry. 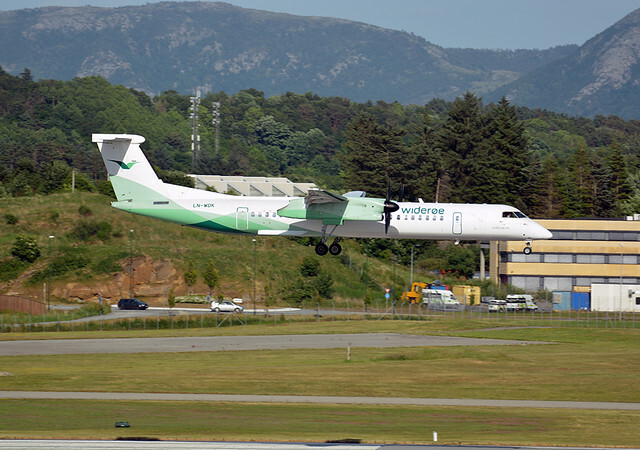 In fact, the Bandeirante helped lead me to my first interview with an airline. I didn’t get the position and as time has shown, things worked out just fine, thank you. (Interestingly, my path has crossed with the fine gentleman who did earn that position several times over the years and we remain in touch…I think things have worked out for him, as well.) But I digress. 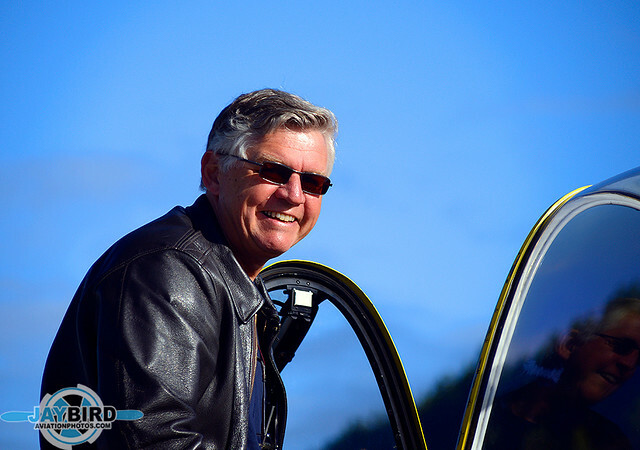 In many ways, the “Bandit” helped launch my career as a freelance aviation photojournalist. So here is a little photo essay of Bandeirantes that have been used in the United States. 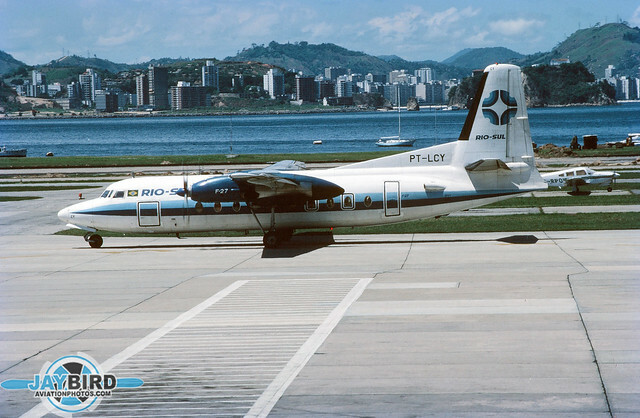 N615KC was one of several Bandeirantes operated by Aeromech as an Allegheny Commuter carrier. This was photographed at Washington National in late 1979, and represented my first sighting of this type. 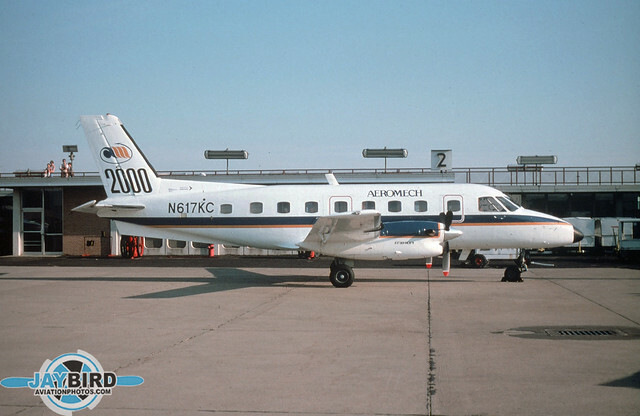 Shortly after receiving its first Bandit, Aeromech made an unprecedented decision to leave the Allegheny Commuter system. 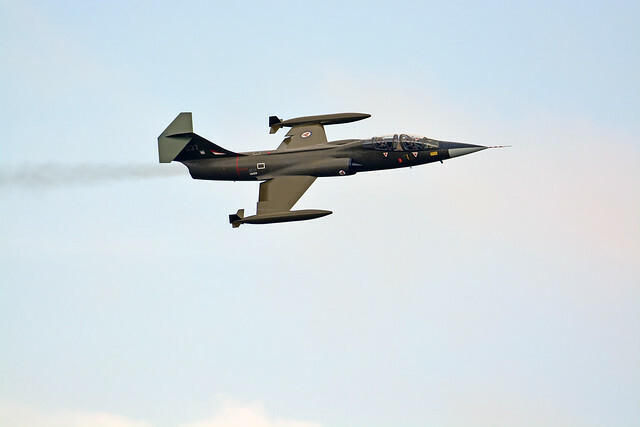 N617KC was the 2000th aircraft delivered by Embraer, and was so designated by the “2000” on the vertical stabilizer. 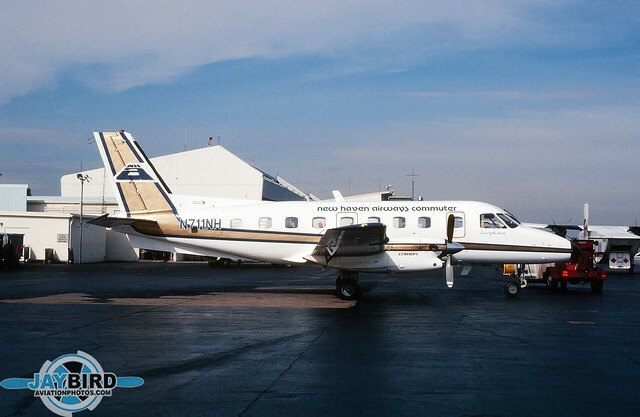 This photo was taken at Canton-Akron Airport in April 1980. 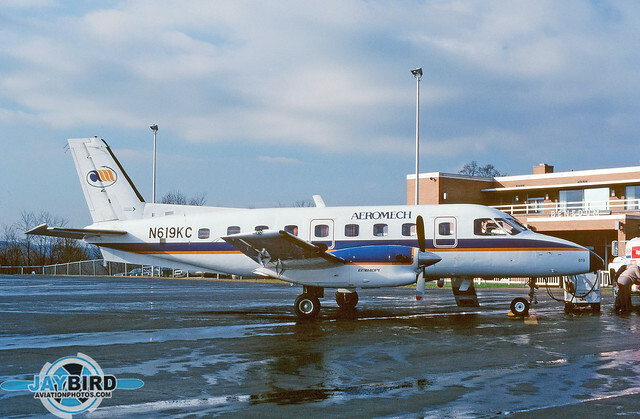 Here is N619KC, another Aeromech Bandeirante, photographed at the company’s headquarters in Clarksburg, WV in December 1981. 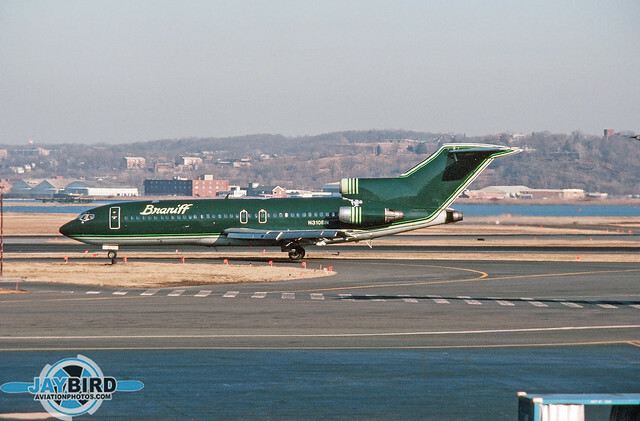 New Haven Commuter Airways was another early operator of the Bandeirante into DCA. I photographed N711NH in February 1980. I shot N101TN at Charlotte in May 1981, just as the sun was setting. 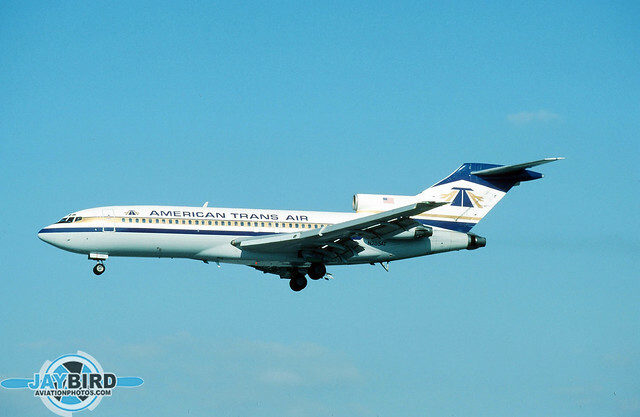 At about the same time as Texas Air Corp was forming New York Air with DC-9 assets from the parent company, Starflight Aviation established a small commuter carrier based in Farmingdale NY called New York Air. 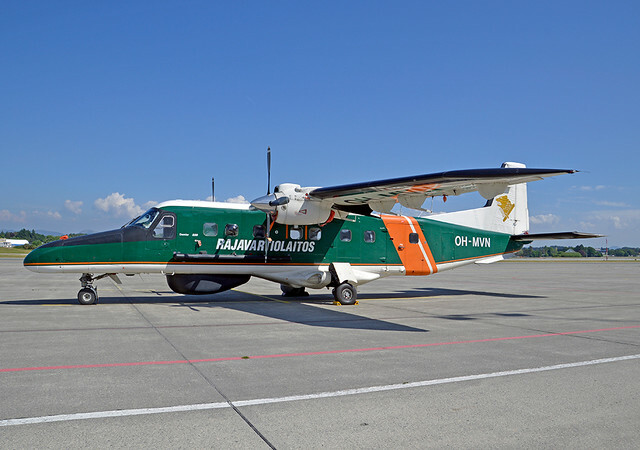 N4268R was the only Bandeirante operated by the company. 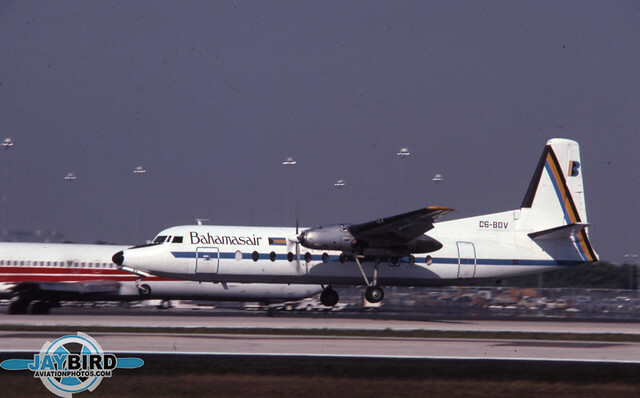 Cascade Airways was another early operator of the Bandeirante. 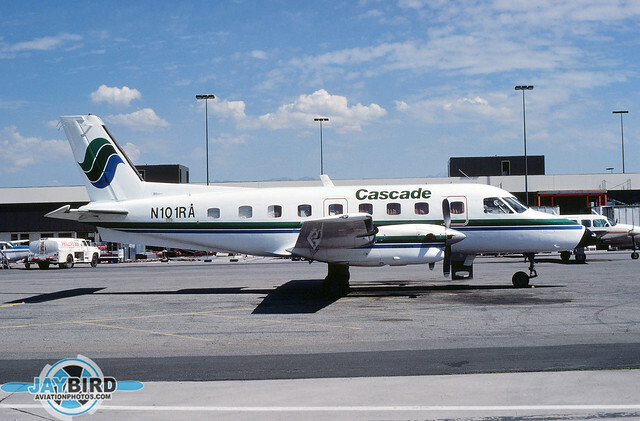 On a trip out to the west coast in October 1980, I routed myself through Salt Lake City so that I could grab this photo of N101RA. 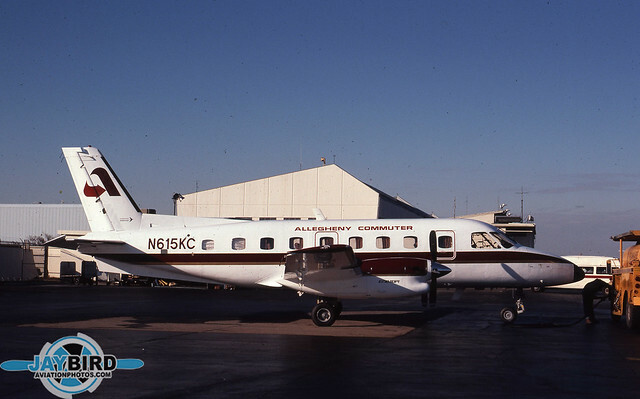 N616KC was obviously an Aeromech Bandeirante on lease to Vee Neal Airlines. 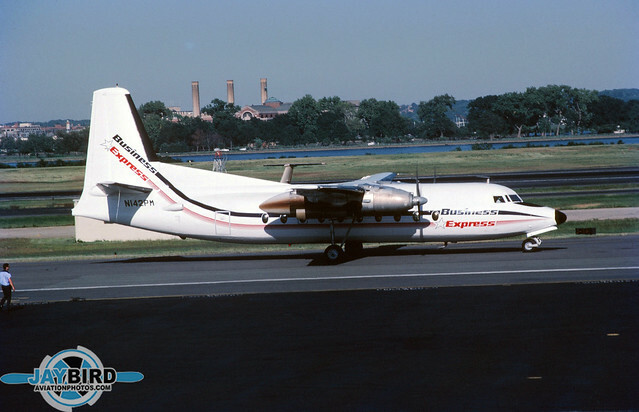 It was photographed at DCA on a bright December morning in 1981. 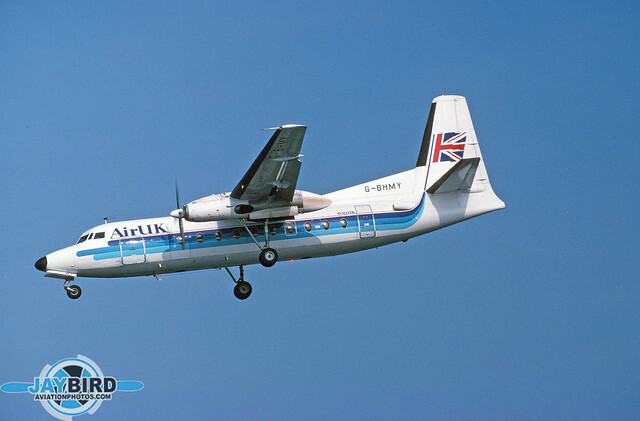 In a historical note, Vee Neal was an early operator of the British Aerospace Jetstream 31. 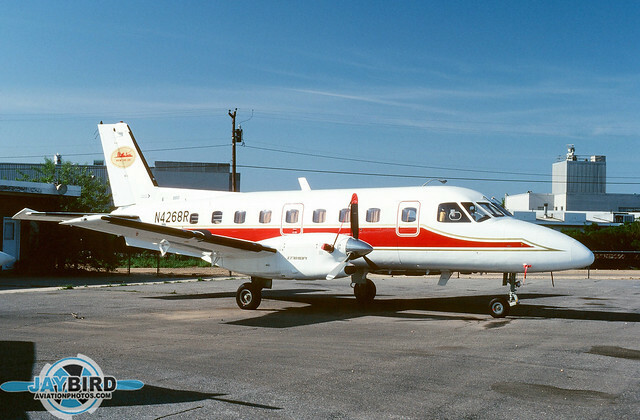 In recognition of this equipment, the airline changed its name to Jetstream International Airlines and became an early Piedmont Commuter carrier. 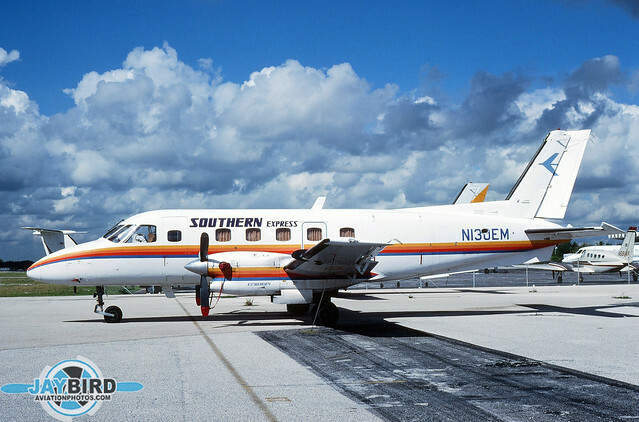 Later, after Piedmont was bought by USAir, the airline was renamed PSA Airlines and is now the largest owned American Eagle carrier. 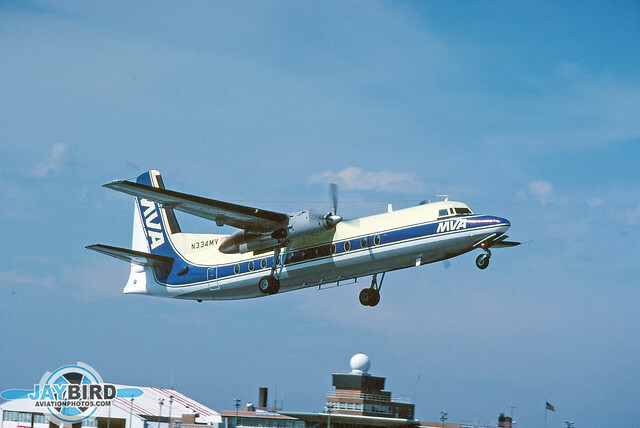 Provincetown-Boston Airlines was one of the earliest commuter airlines in the US, and also one of the first to operate large aircraft. 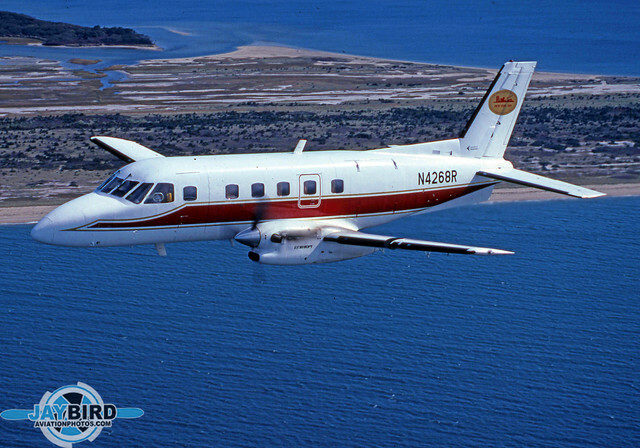 As the company grew under deregulation, it added the Bandeirante as a gap-filler in size between the Cessna 402 and Douglas DC-3. 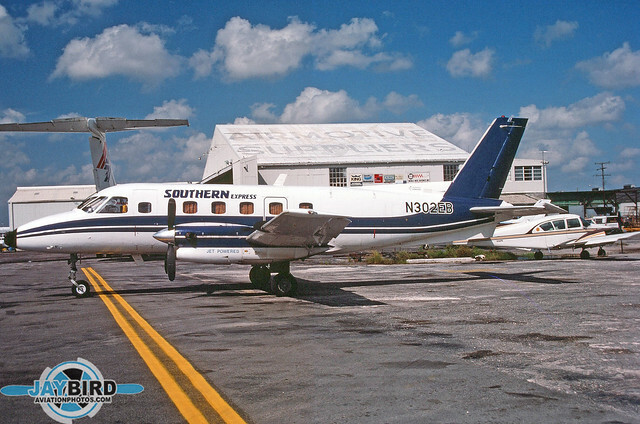 N94PB is seen at the airline’s Florida base in Naples. Southern Express was a short-lived member of the Piedmont Commuter System. Its Bandeirantes were acquired from a number of sources, and I’m pretty sure that no two were painted alike. Both photos were taken in Miami in 1985. 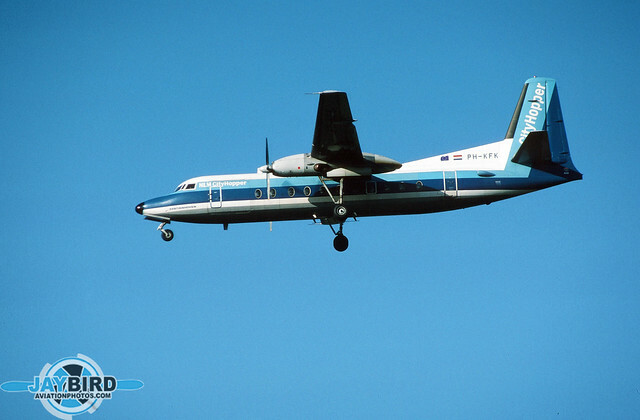 Atlantic Southeast Airlines started service with a single de Havilland Twin Otter and after several months of operation, added Bandeirantes to its fleet. 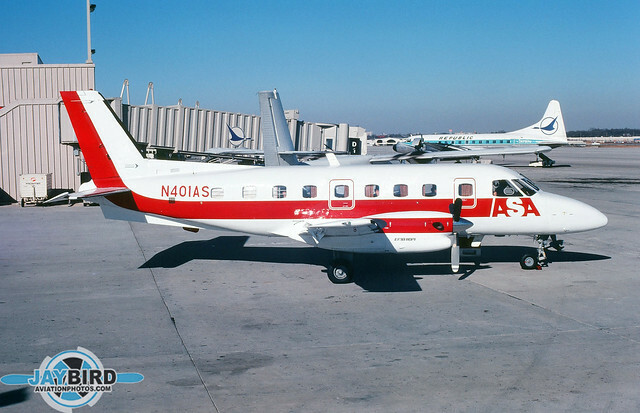 N401AS was the carrier’s first Bandeirante and was photographed at Atlanta in January 1981. 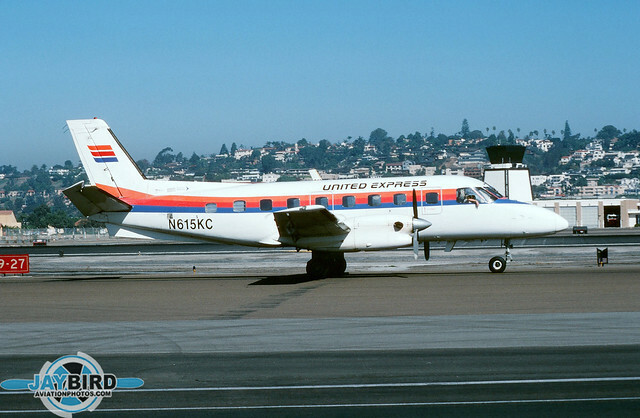 Westair Commuter was the first west coast United Express carrier. 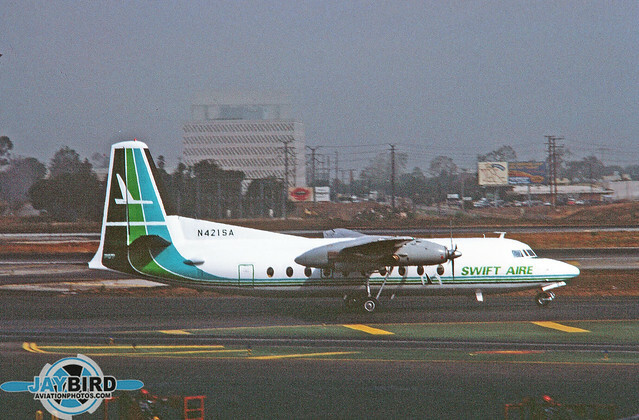 It began operation with a number of Bandeirantes, including N615KC, an ex-Aeromech machine, seen here in San Diego. 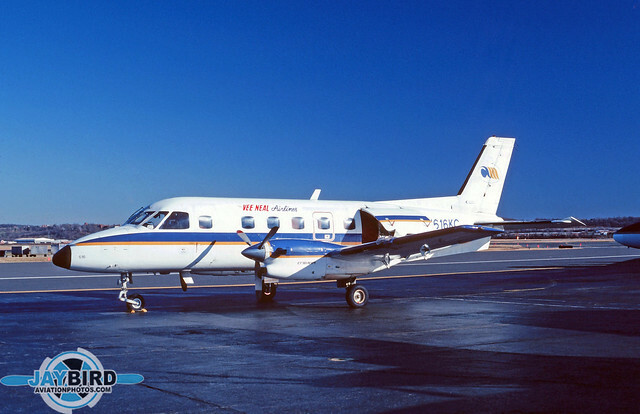 In May 1992, seven years after my first trip to Alaska, I saw N84940 thousands of miles south, at Raleigh-Durham, operating for WRA Airlines. While I was down for maintenance and was unable to lift a camera, I scanned some 500 slides, among which were nearly 100 727s. 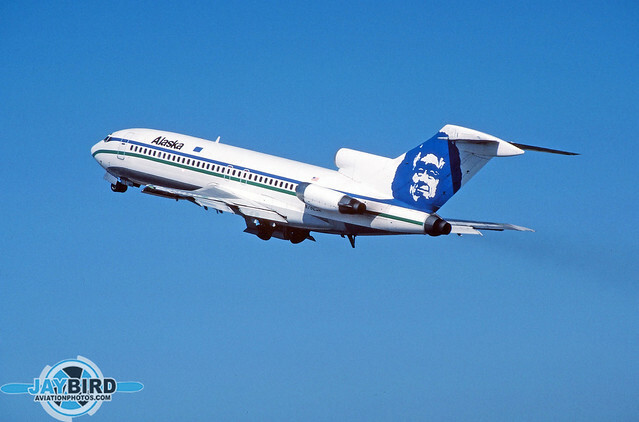 So…here is Part Two of the 727-100s. Enjoy! 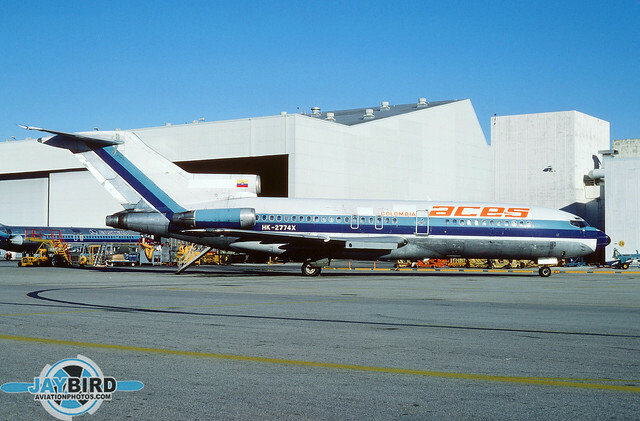 The very first 727 I ever saw was a United Airlines plane sitting outside its maintenance hangar at SFO in December 1963. 22 years later, I photographed B727-22 N7011U, one of the very first 727s, as it touched down on Runway 09L at Denver Stapleton Airport. This shot was taken from one of my favorite locations until Stapleton closed in 1995. 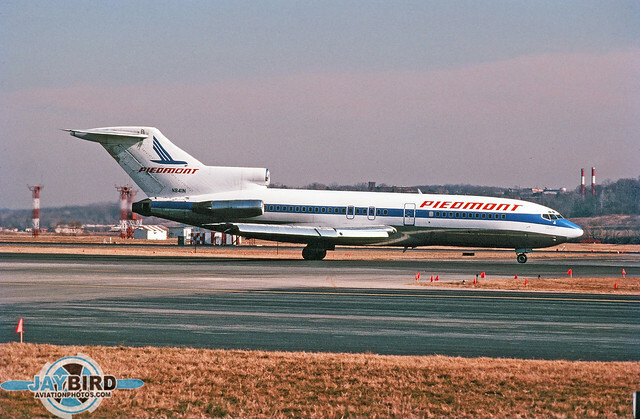 Near and dear to my heart is anything Piedmont Airlines. 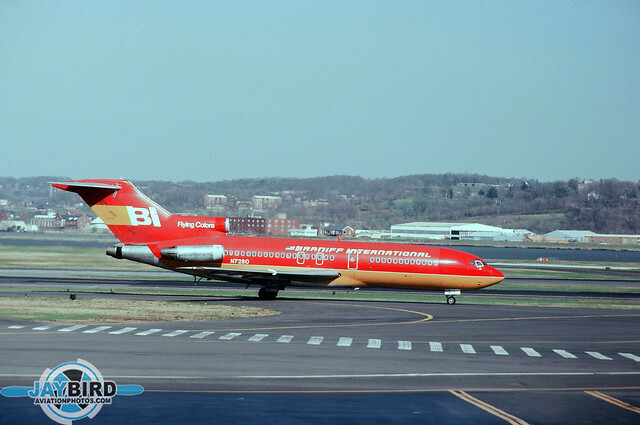 N841N, seen here at Washington National Airport, is a B727-22 which was originally delivered to United as N7032U. 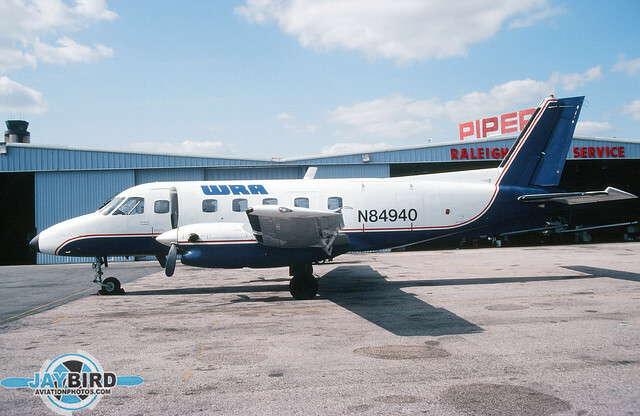 When Piedmont phased out its -100s, this bird went on to fly with Air One, McClain Air, and Key. 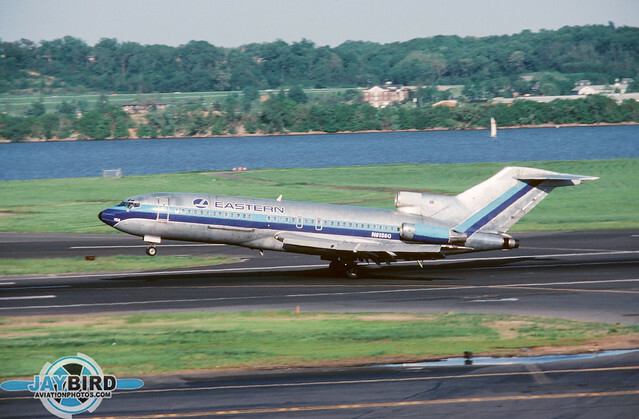 N8114N was a B727-25, seen here lifting off from Runway 31L at JFK. This was taken in January 1981 from the parking deck on top of the Pan Am terminal. 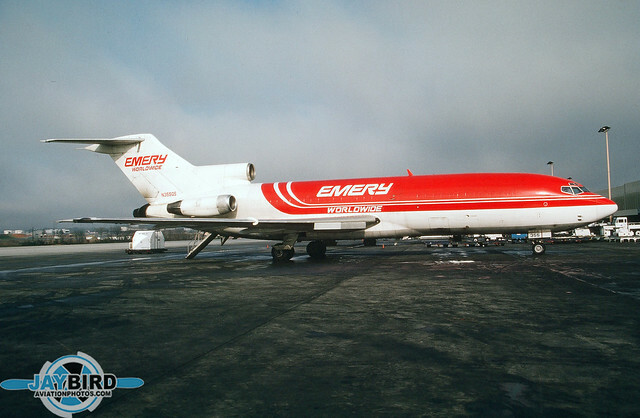 This plane spent its entire operational life with Eastern Airlines. 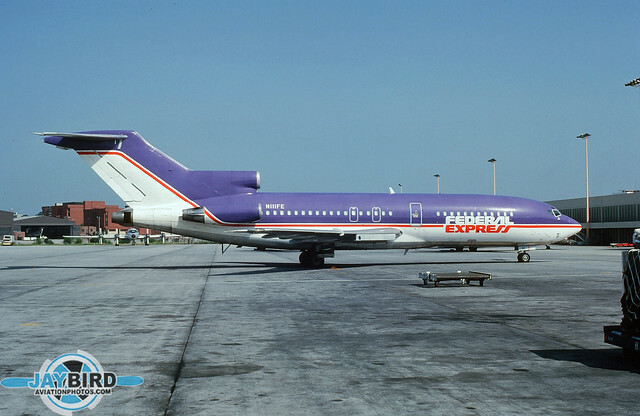 Several of the early American operators of the 727 ordered a “Quick Change” version that could quickly be converted between cargo and passenger configuration. 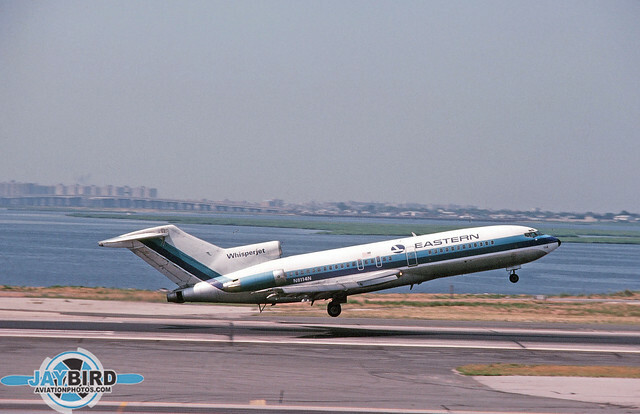 N8156G was a B727-25C ordered and operated by Eastern Airlines. I shot this from the roof of the original passenger terminal at Washington National Airport. N8156G was eventually sold to FedEx as N120FE. 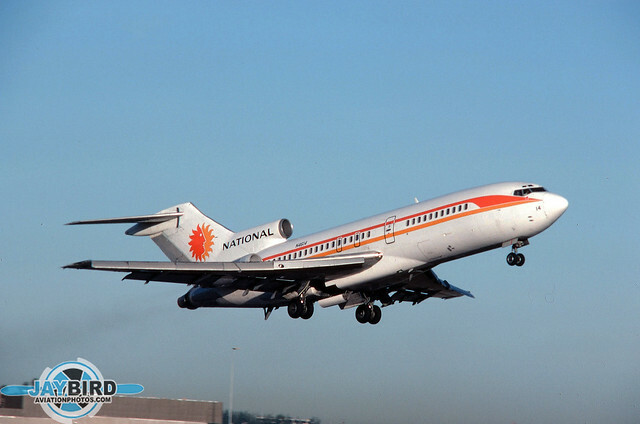 Continental operated an interesting variety of used 727s, including N18480, a B727-76 originally delivered to Australian Airlines as VH-TJA. This photo was taken at LAX. 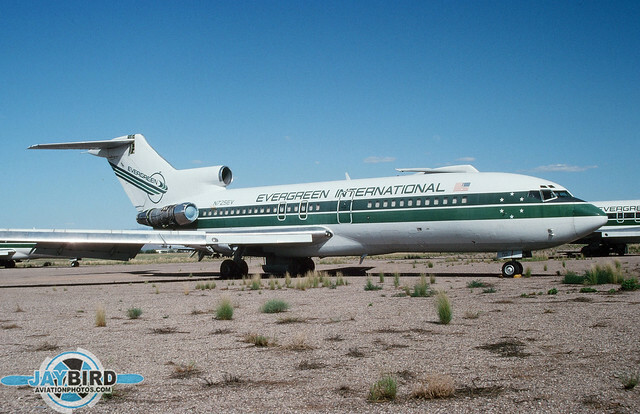 Another used 727 that found its way to Continental was B727-22, N40482. 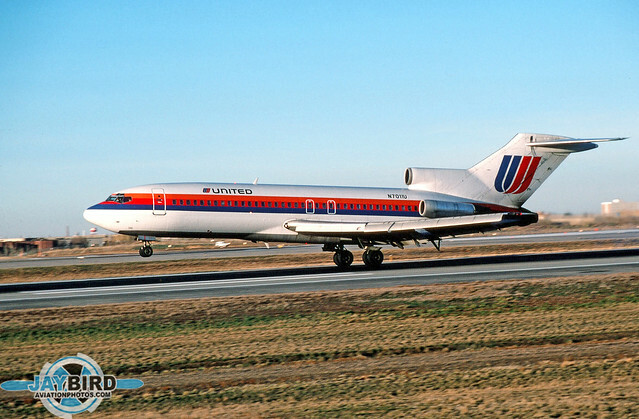 United was the original owner, when it was registered as N7038U. This photo was taken from my favorite perch at Denver Stapleton. 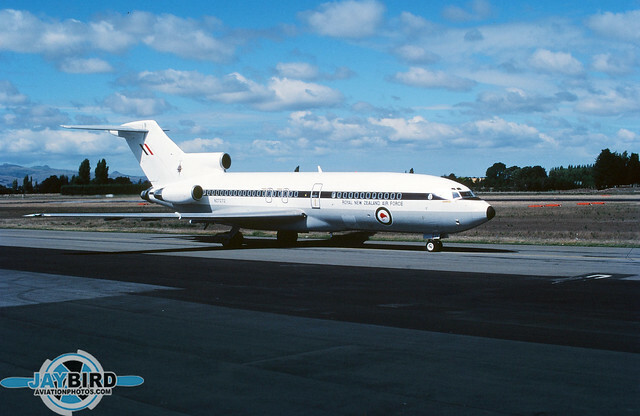 The story of how I came to photograph NZ7272 of the Royal New Zealand Air Force brings a smile to my face. 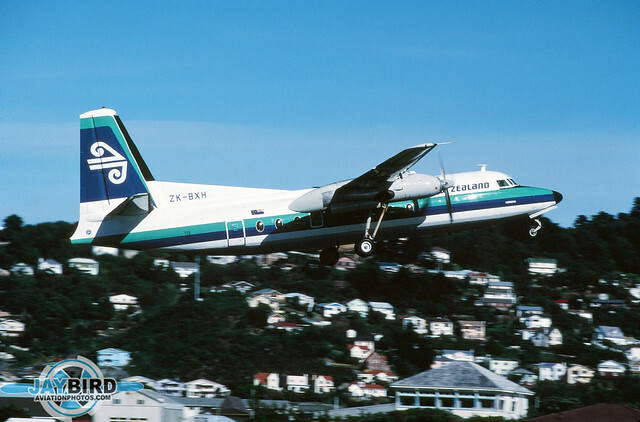 I was flying in a Safe Air Argosy from Wellington to Christchurch as part of an article (Oh, the sacrifices I’ve made over the years…). As we taxied out at CHC, we passed right past this 727. The crew of the Argosy was kind enough to pop open the top hatch, which allowed me to get this photo. 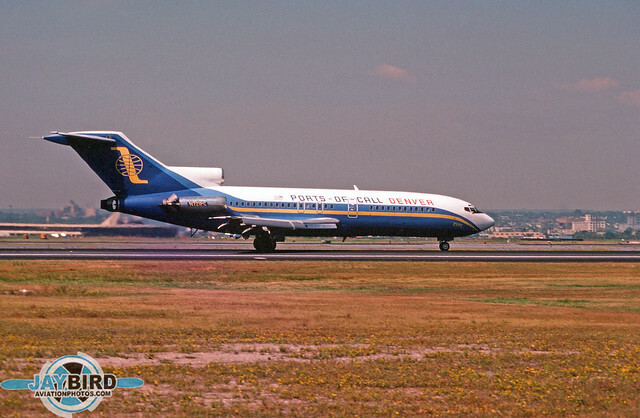 This B727-22C was another QC version, originally delivered to United as N7438U. 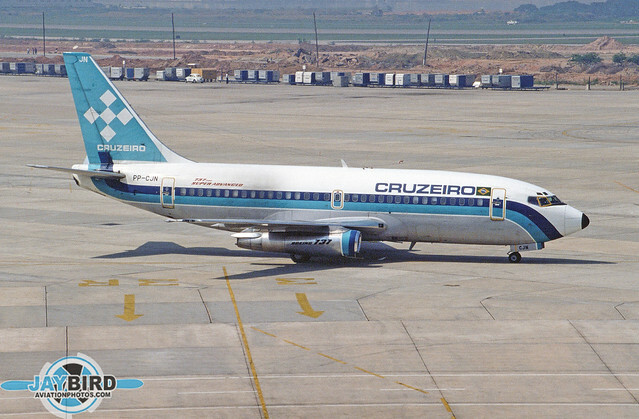 I took my first trip to Brazil in October 1986. Jim Jet Thompson and I spent a week visiting Rio and Sao Paulo. Here are two shots of Cruzeiro B727-11, PP-CJI which I took at GIG. 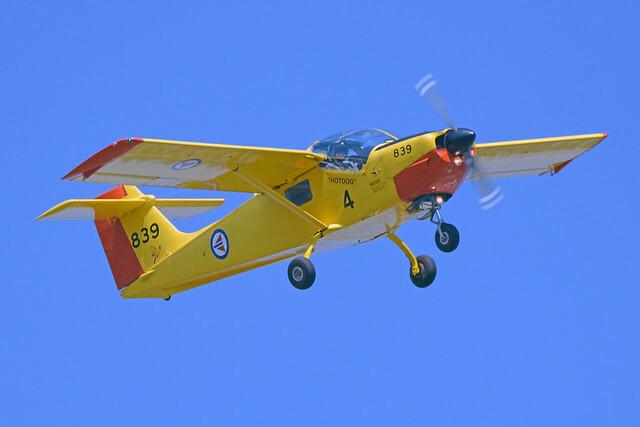 This plane has a colorful history…delivered to Wardair Canada as CF-FUN. 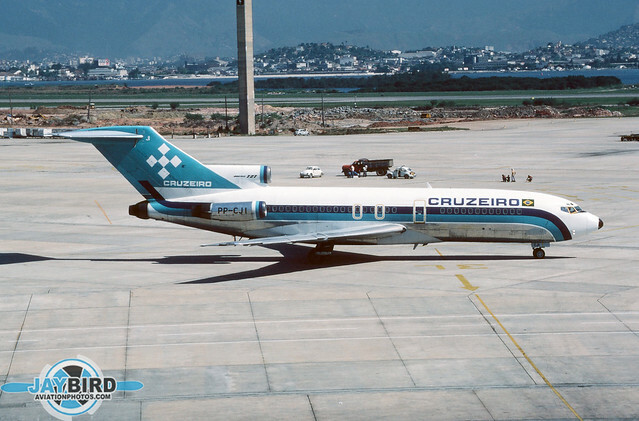 She was operated by National as N4509 and Braniff as N302BN before going to Cruzeiro. She later went to Colombia, where she was flown by a couple of airlines. 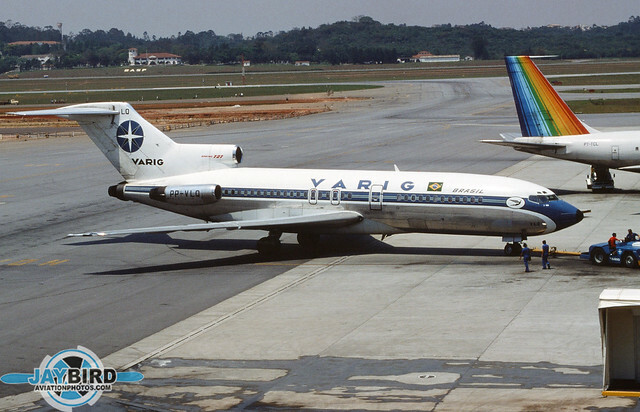 Here are a pair of VARIG B727s. 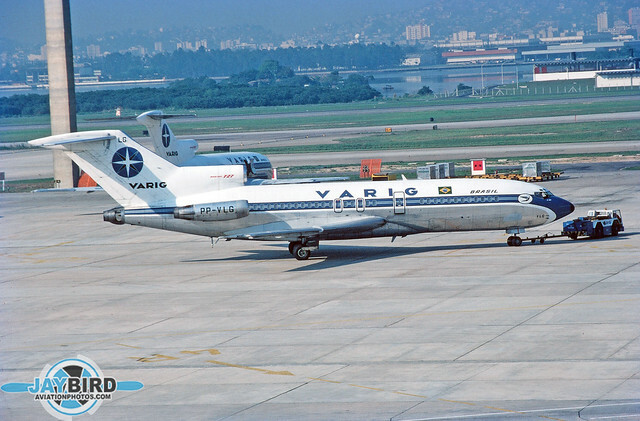 Above is PP-VLG, a B727-41F (an original VARIG delivery), which was photographed at GIG. 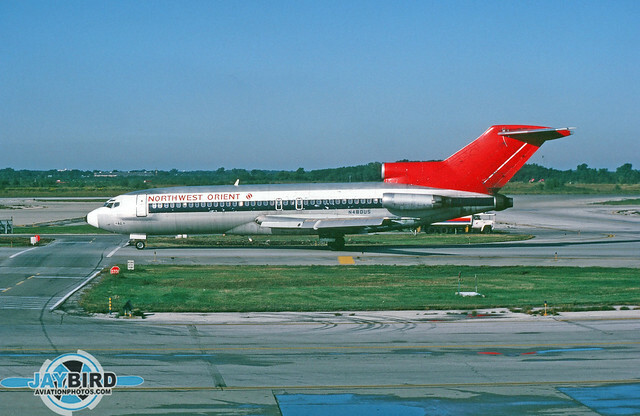 Below is PP-VLQ, a B727-95, originally delivered to Northeast Airlines, photographed at GRU. 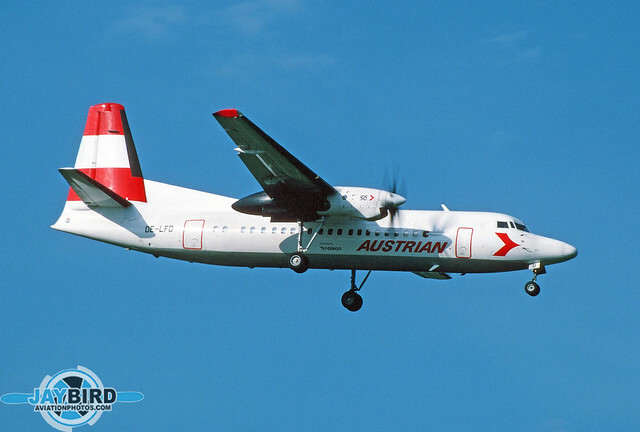 In 1989, I arranged for a flight on Air Inter from Basel/Mulhouse to Nantes by way of Paris. On that rare day, three out of four of those flights were on aircraft types that were new to me. I flew on a Mercure (new to me) from MLH to CDG, an A320 from CDG to NTE (new to me), and a Caravelle (new to me) from NTE back to CDG. During my brief stay at NTE, I was able to take this shot of TC-AJU, a B727-81 originally delivered to All Nippon. 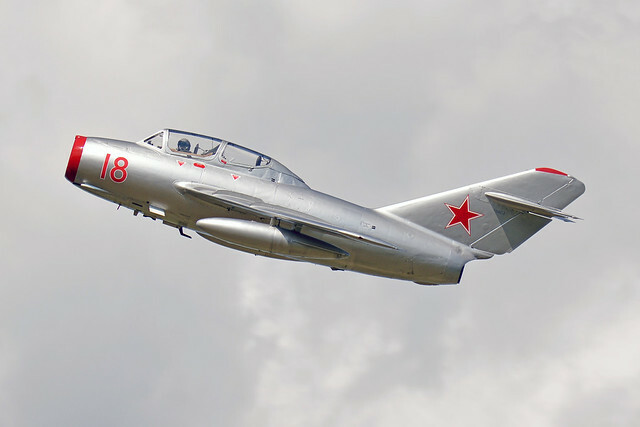 In its lifetime, this airframe was registered in Japan, Panama, Belgium, Germany, Great Britain, and the United States. January 13, 2019 was a sad milestone for me, as the very last passenger Boeing 727 made its final flight with a scheduled airline. 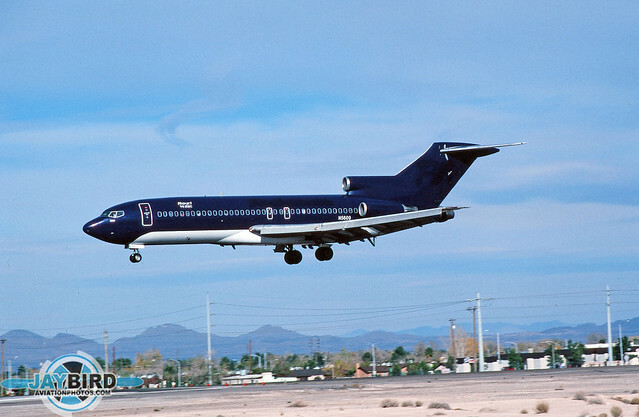 True, there are still a reasonable number of 727s hauling cargo, as well as private and VIP 727s, but in all likelihood, most of us will never again be able to fly the airline industry’s “Glamour Gal”. 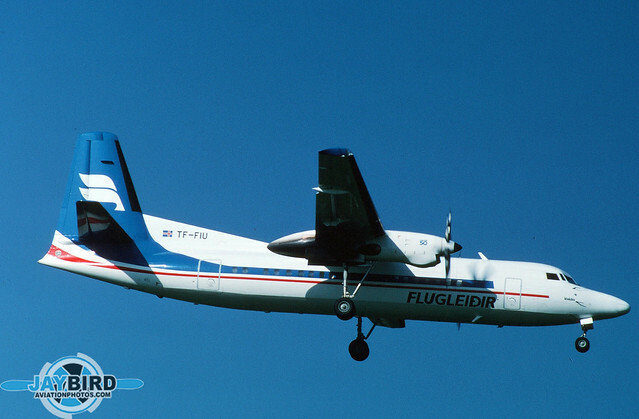 For me personally, the “Three-holer” was the first airliner I remember as a new airplane after I was bitten by the aviation bug.I just scanned some 500 slides, among which were nearly 100 727s. 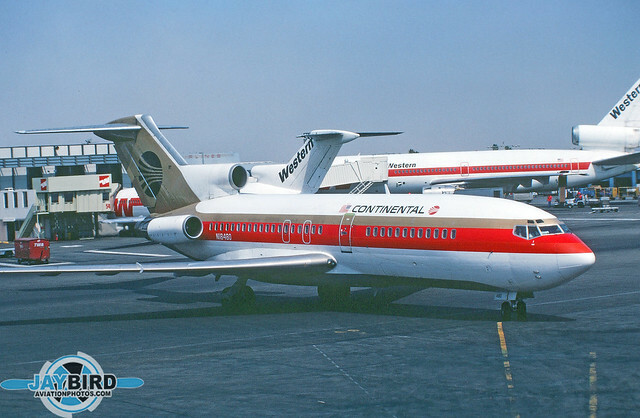 So…this seems like the perfect time to take a look back at the iconic tri-jet, starting with Part One of the 727-100s. Enjoy! A good number of B727-81s found their way into the second-hand market, including HP-619 of Air Panama. N725EV, a B727-27C, awaits its demise at Marana. 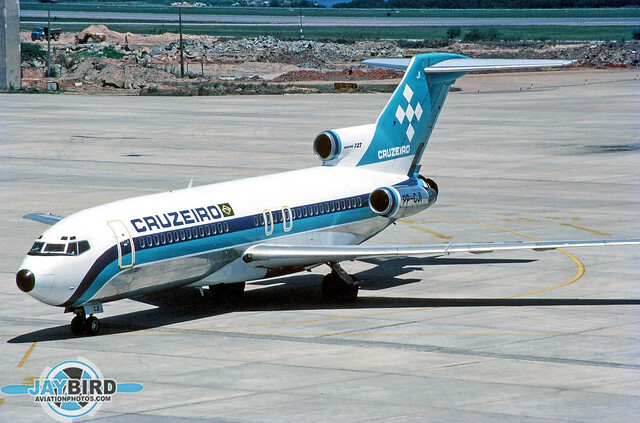 She was originally delivered to Braniff as N7273, and was later flown at PT-TYT with Transbrasil. 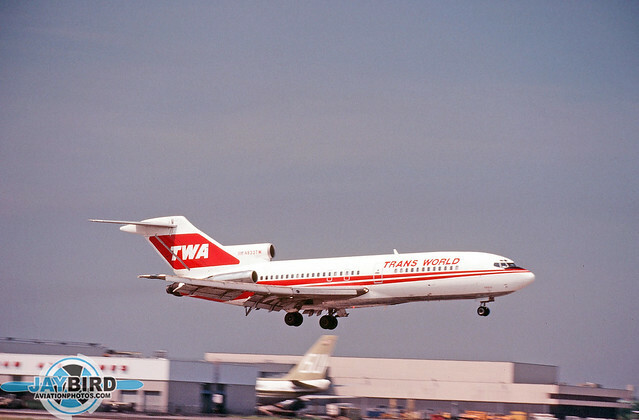 N833TW was an original TWA B727-31, seen here landing at my favorite spot for taking photos at JFK when I was a kid. I used to spend hours sitting on the hill adjacent to the numbers on Runway 13L at JFK. 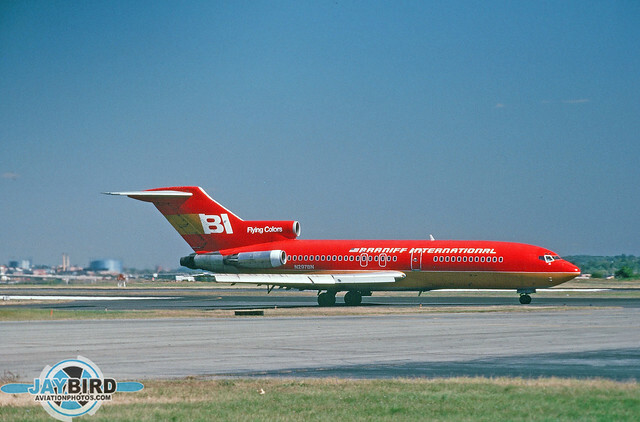 N927UP was a B727-31C, originally belonging to TWA as N893TW. 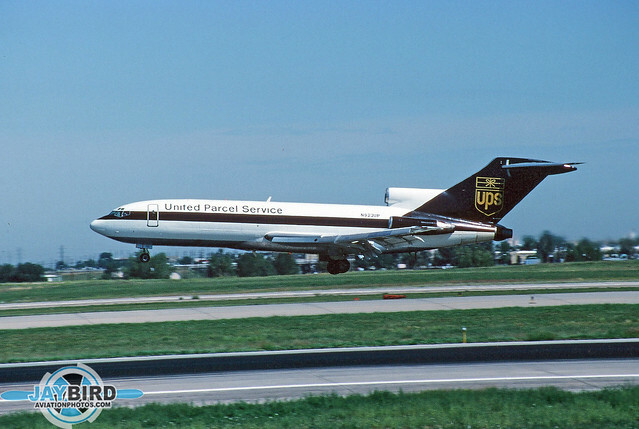 UPS later converted its fleet of B727s to “Quiet Freighters” by replacing the JT-8D engines with Rolls-Royce Tay engines. 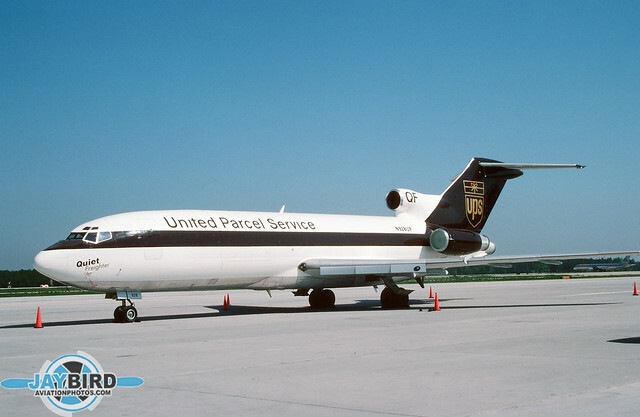 N928UP, a B727-22C(QF), was originally a United Airlines machine, N7403U. 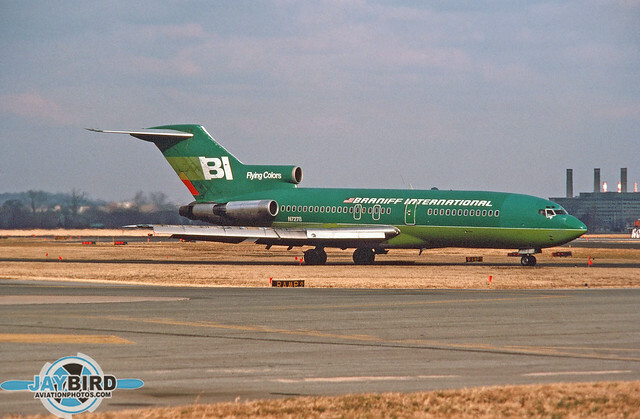 N1979 was originally a B727-23 of American Airlines. 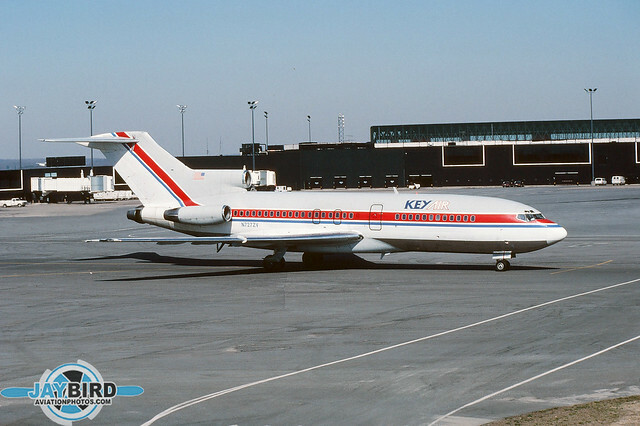 After flying passengers for American, Skybus, and World Airways, she was converted to a B727-23(F) freighter for Flying Tigers. 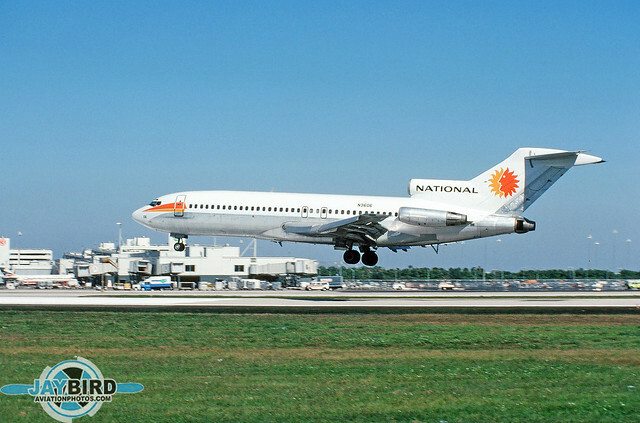 N4614 was an original National Airlines B727-35, seen here lifting off from what was then Runway 09R at Miami. 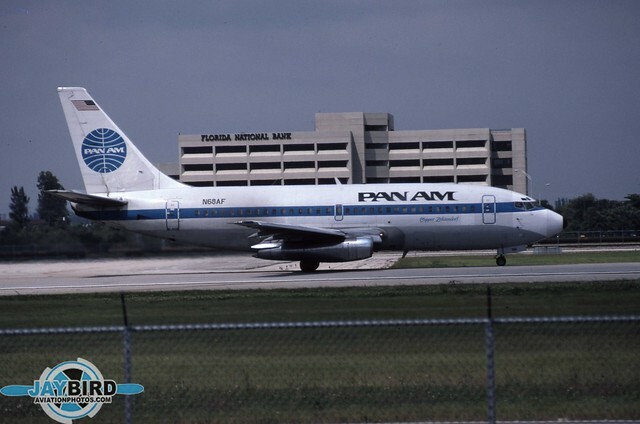 Following Pan Am’s acquisition of National Airlines, N4622 was one of dozens of 727s that were repainted in the familiar blue meatball that was second only to the American Flag as a recognizable symbol of the United States. At the urging of my friend, Thore Thoresen, I decided to head over to Norway at the beginning of June to pursue several writing and photo opportunities. 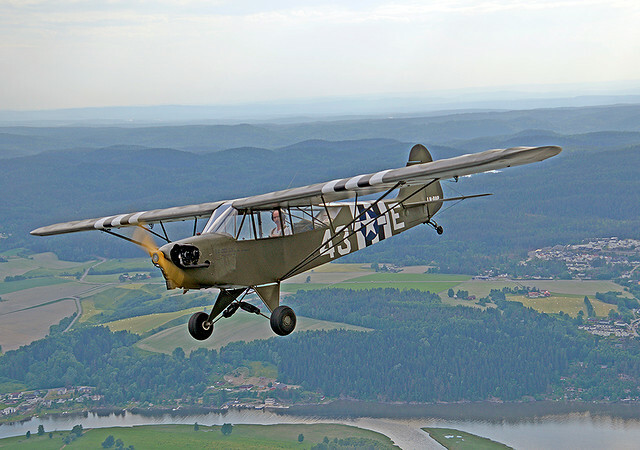 I arrived on 1 June and headed to the town of Skjellen, near the Kjeller Air Base. 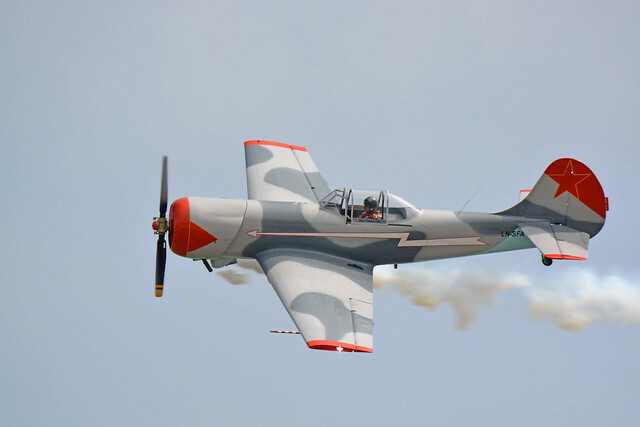 This trip coincided with an air show at Kjeller in which Thore, an aviation icon in Norway, would be performing. 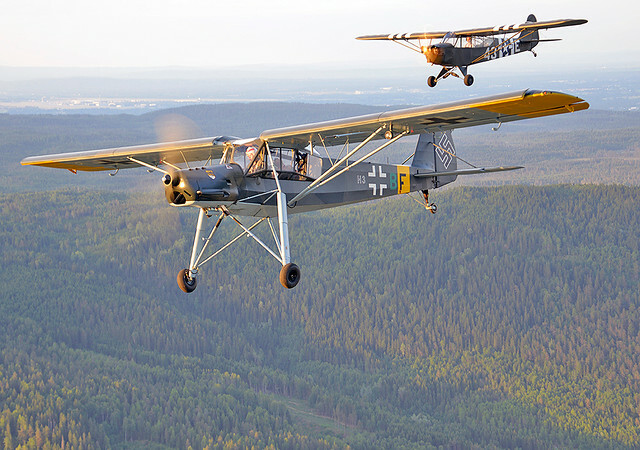 But first, Thore introduced me to Tor Nørstegård, who recently completed restoration of a Fieseler Storch, which is now based at Kjeller. 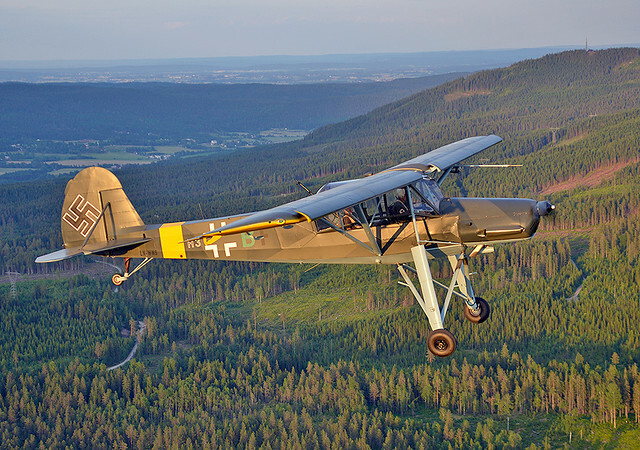 According to Nørstegård, it represents arguably the most authentic restoration of a Storch in the world today. By the time we were able to fly in the late afternoon, it was touch and go with the sun. 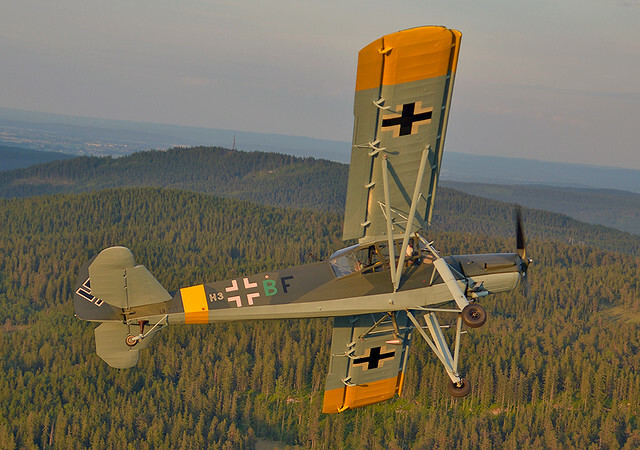 However, it was quite a thrill to be able to photograph this beauty from the air. 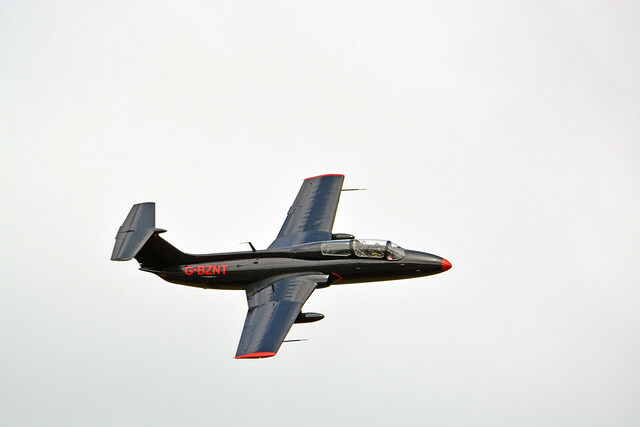 The air show itself was certainly interesting. 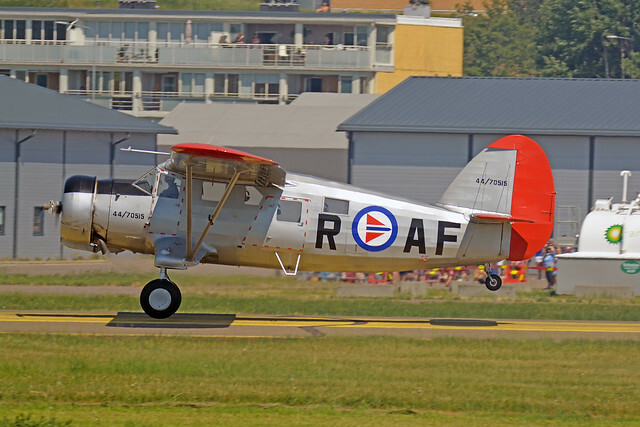 It was nice to see a different selection of aircraft from what we are used seeing in the US. Rather than standing on the airbase ramp, I chose to hike over to the other side of the runway to take advantage of the afternoon sunlight.